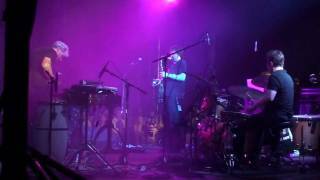 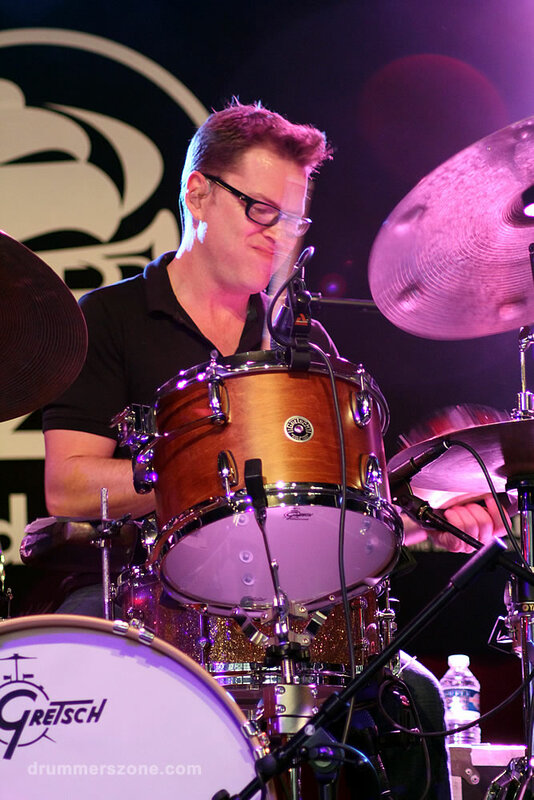 Stanton Moore performing with Galactic at the North Sea Jazz Festival 2014. 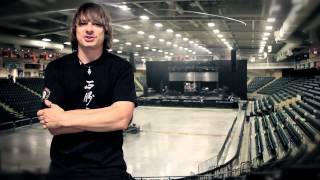 Official biography published on social media (January 09, 2017). 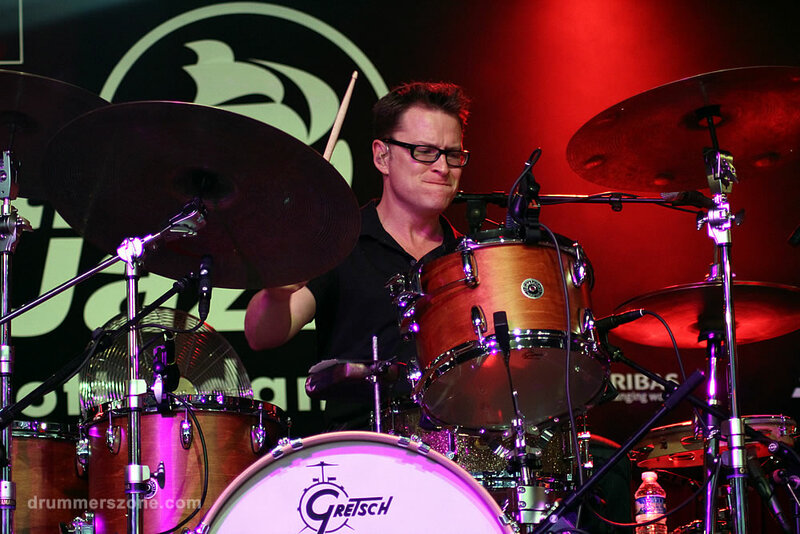 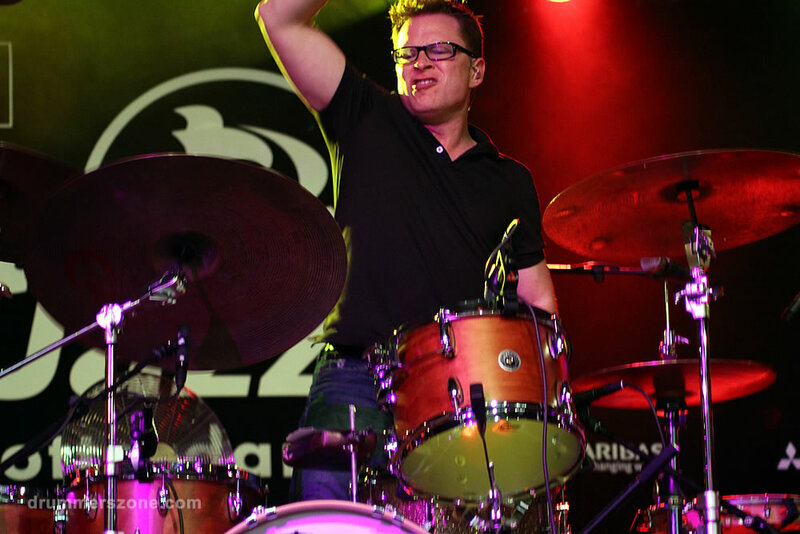 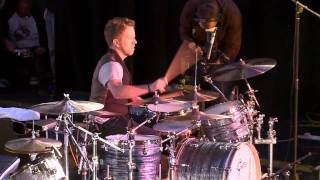 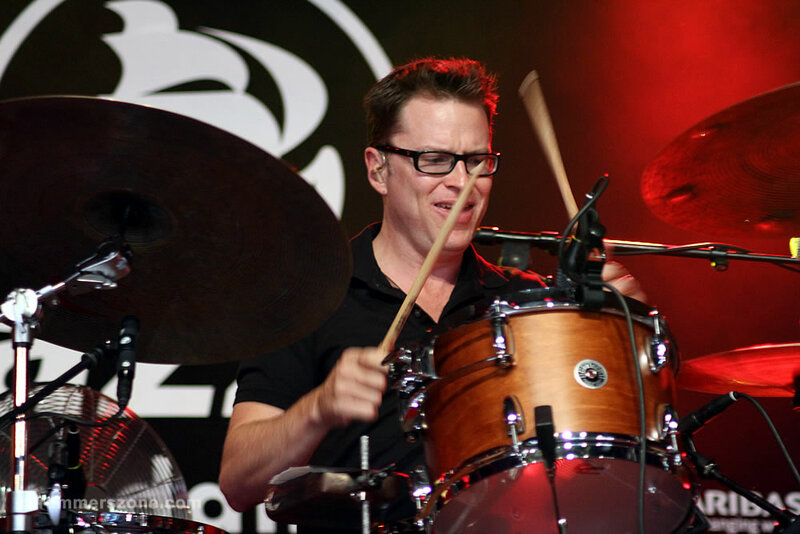 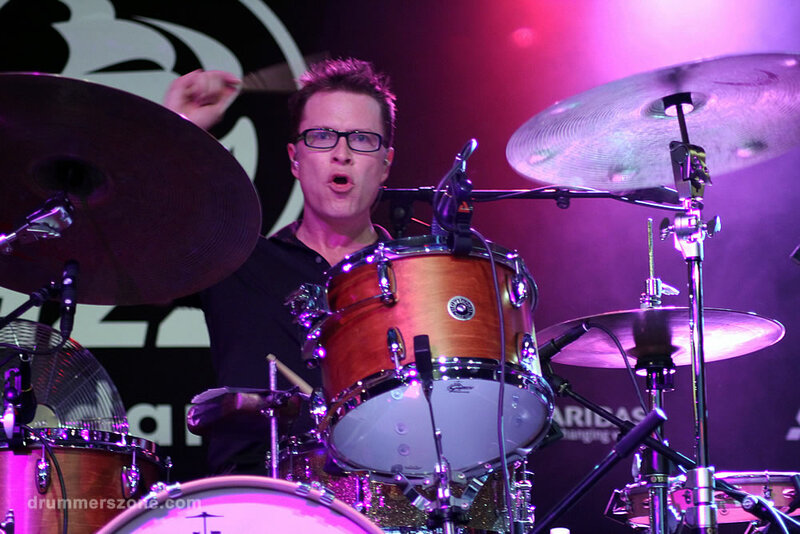 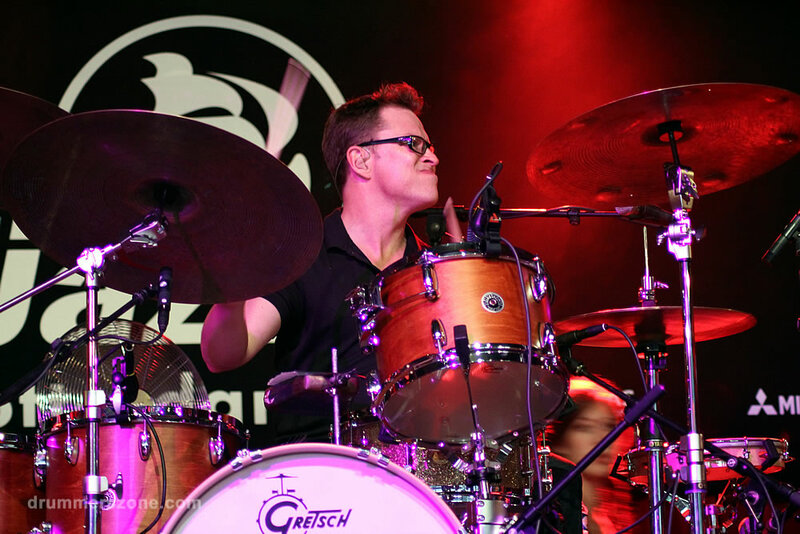 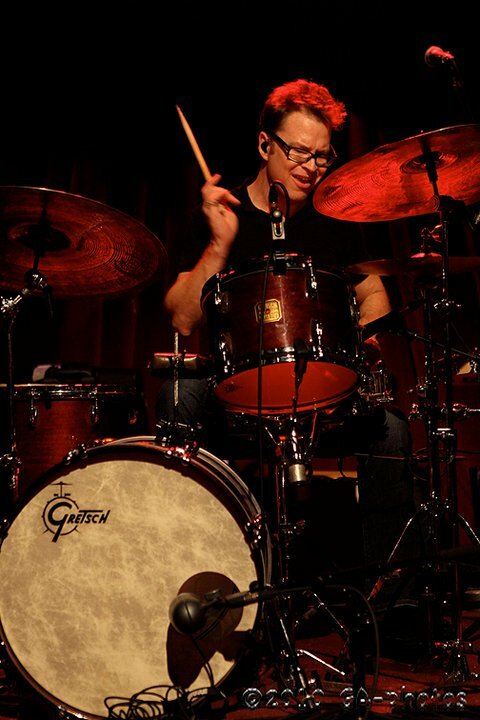 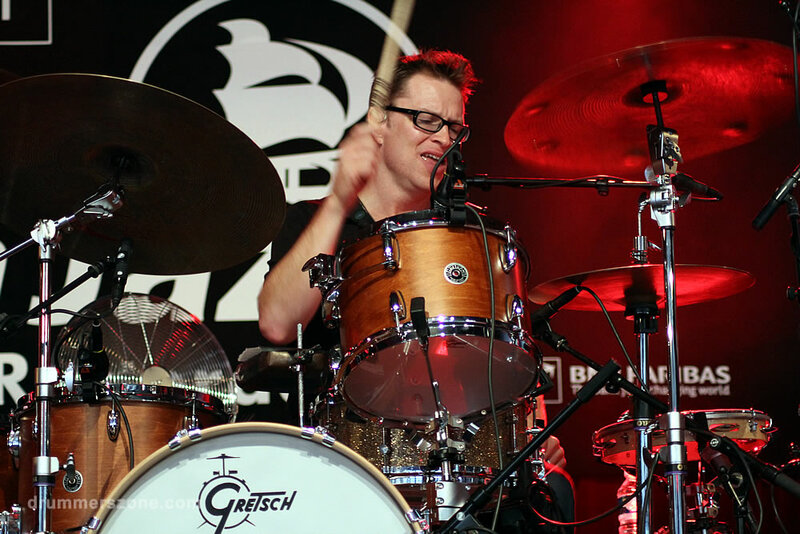 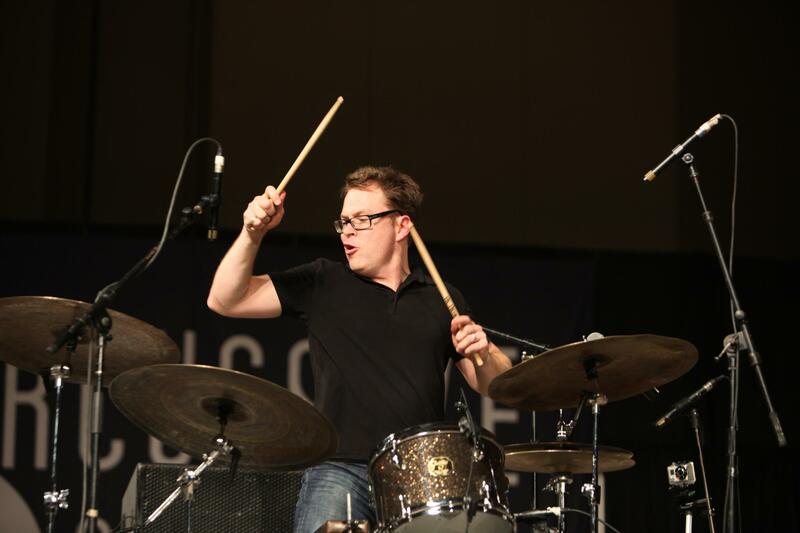 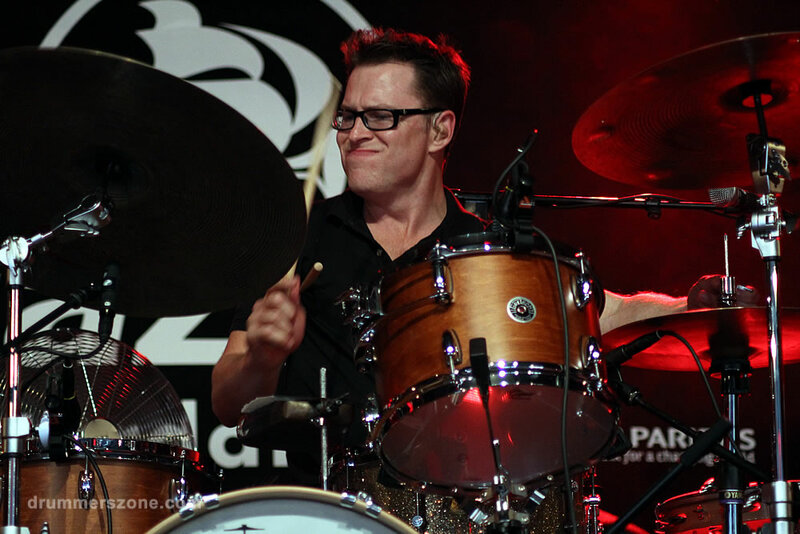 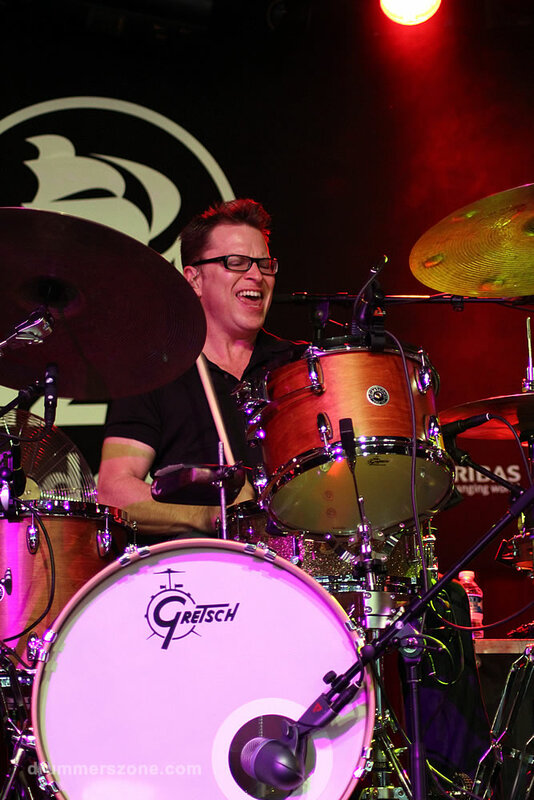 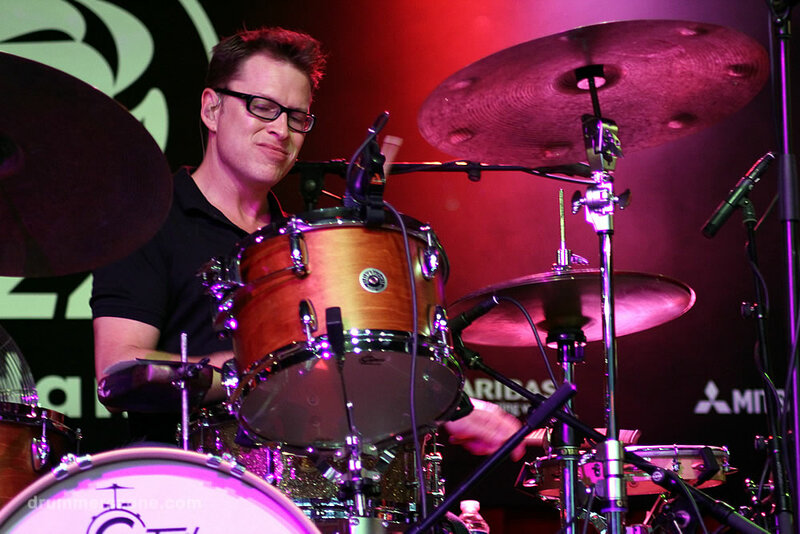 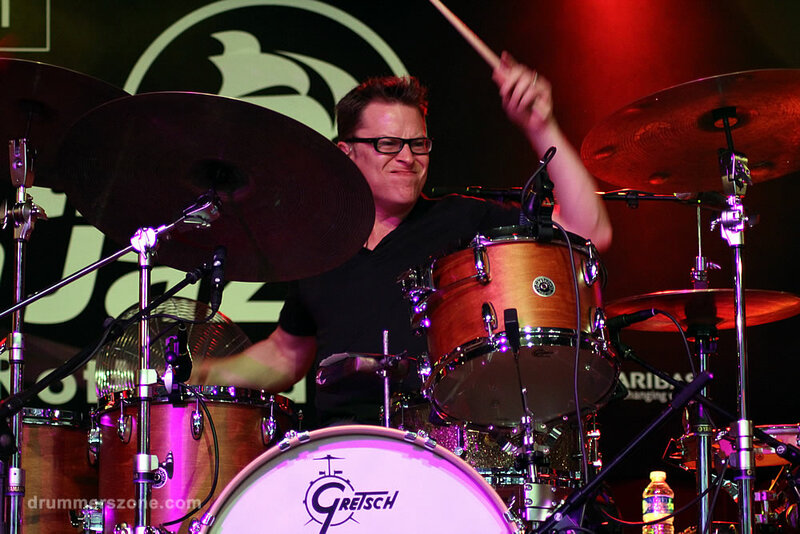 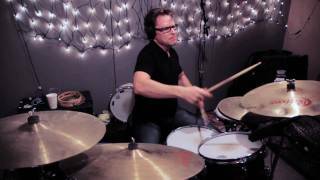 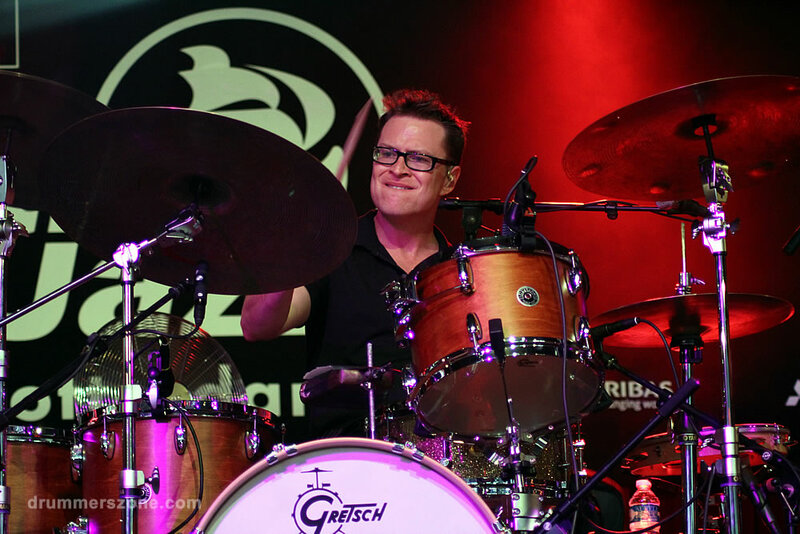 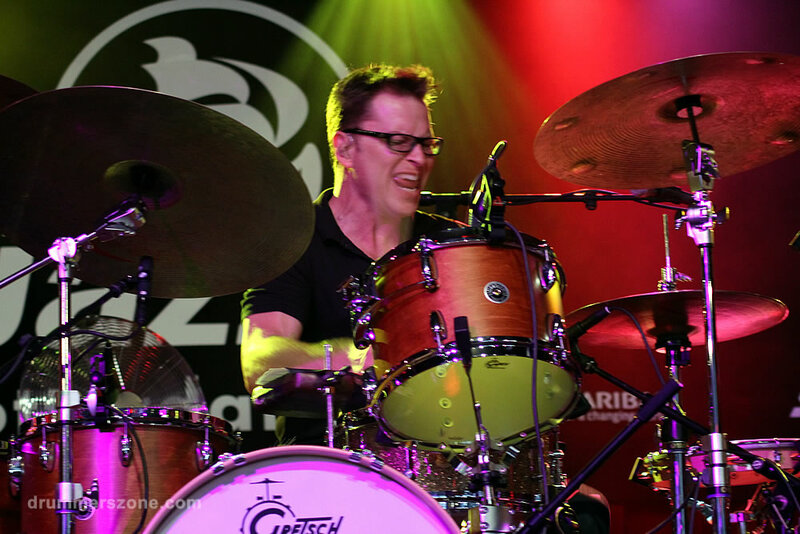 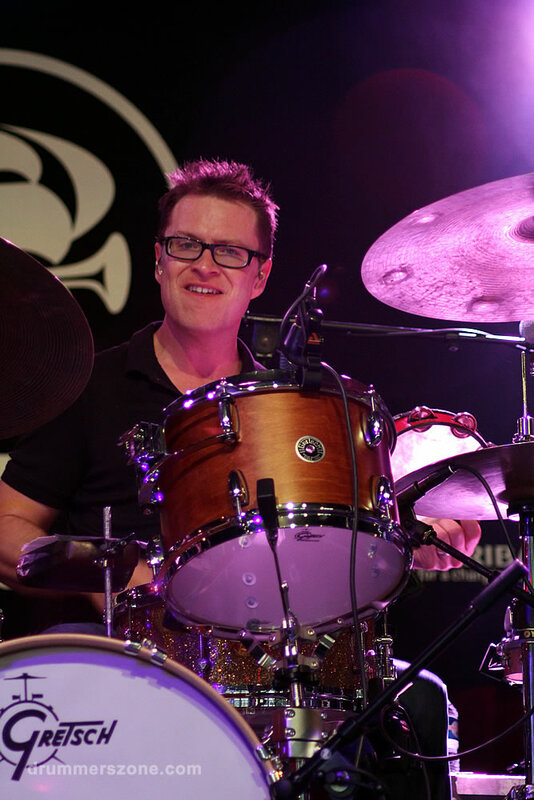 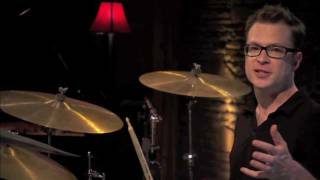 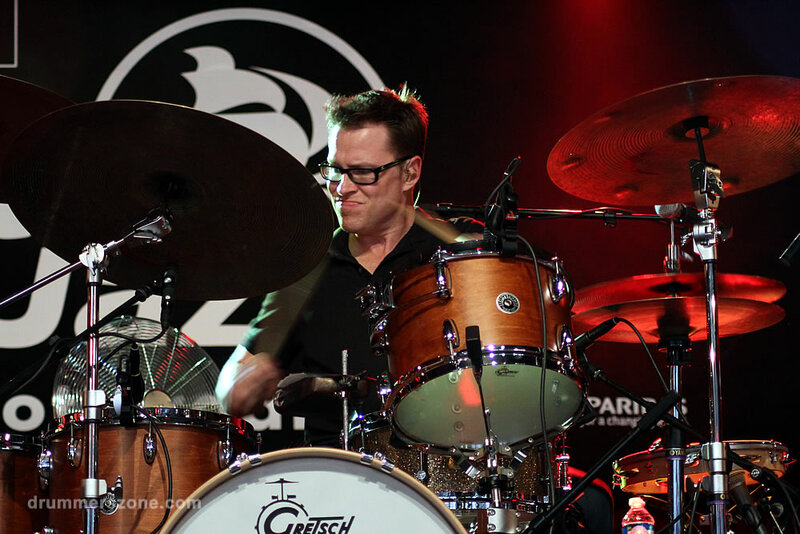 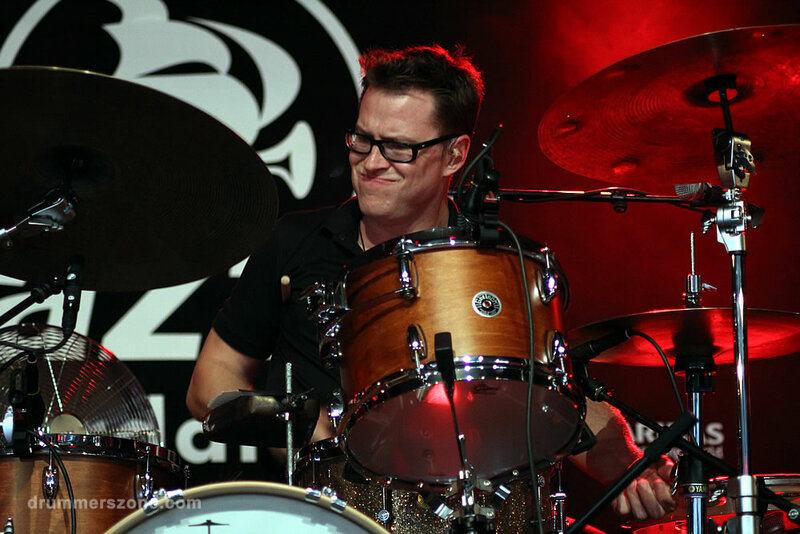 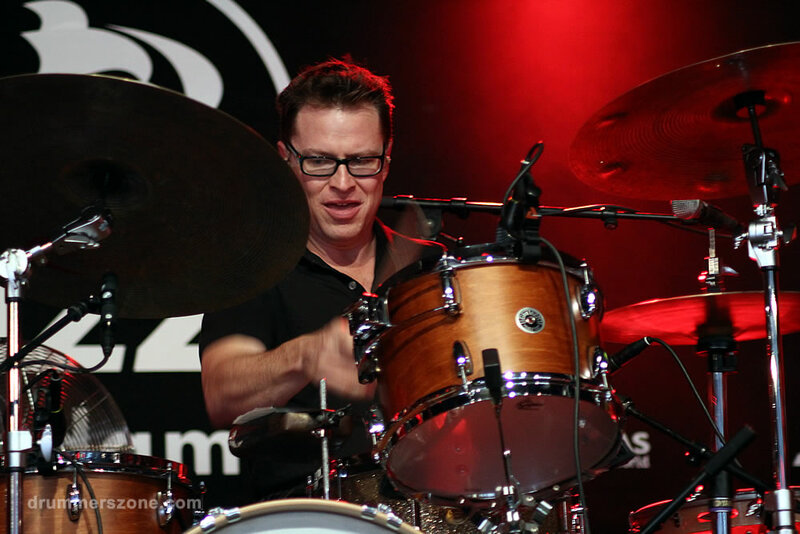 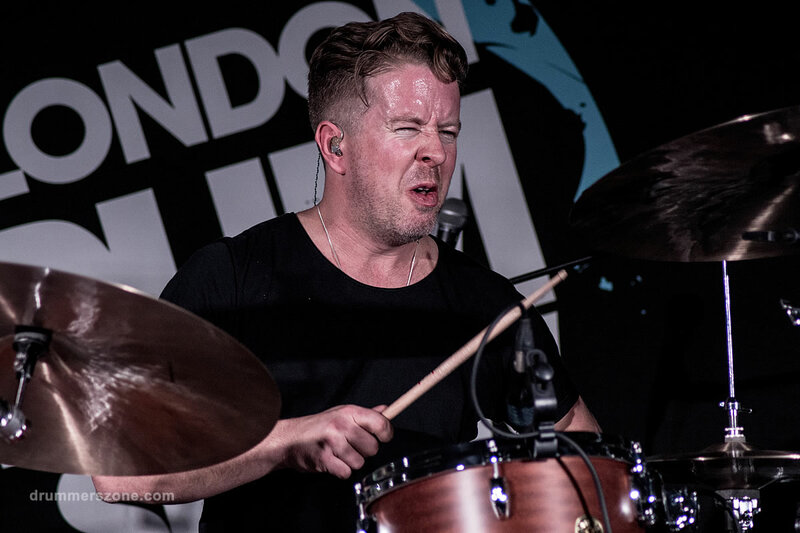 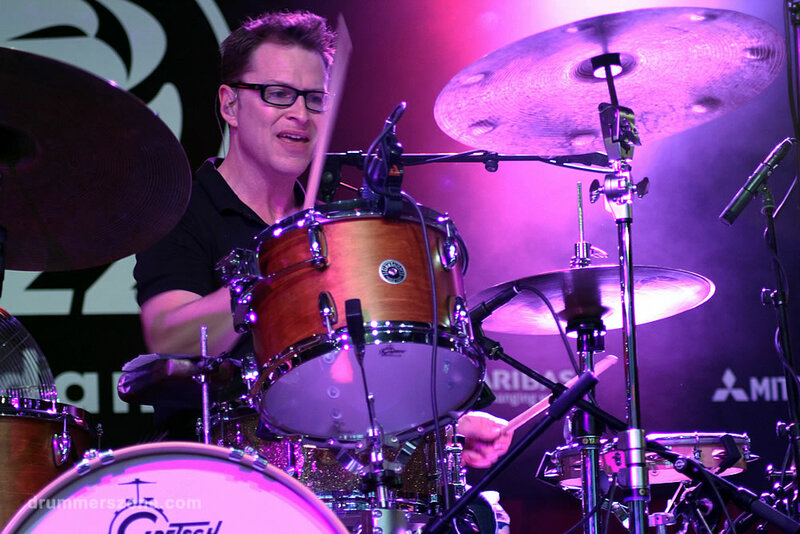 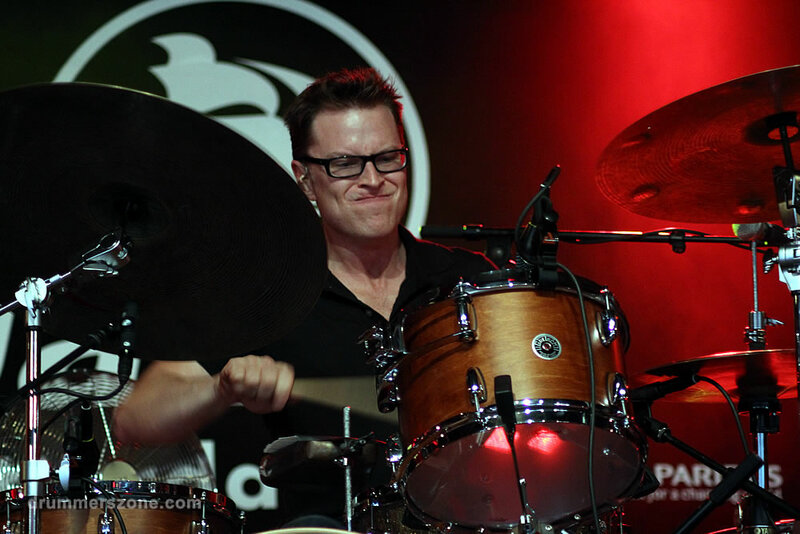 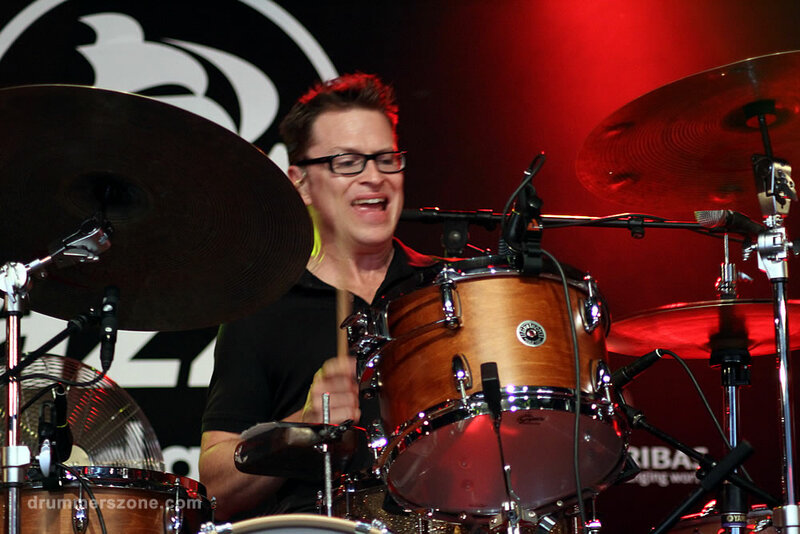 Born and raised in New Orleans, Stanton Moore is a dedicated drummer and performer especially connected to the city, its culture and collaborative spirit. 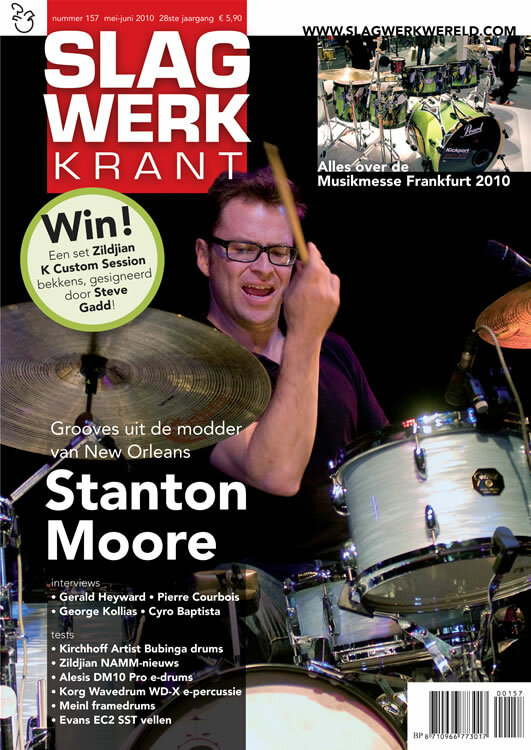 Driven and inspired by the thriving music scene of his hometown which includes such greats as Professor Longhair, Doctor John and The Meters, Moores name is now mentioned amongst these Big Easy mainstays. 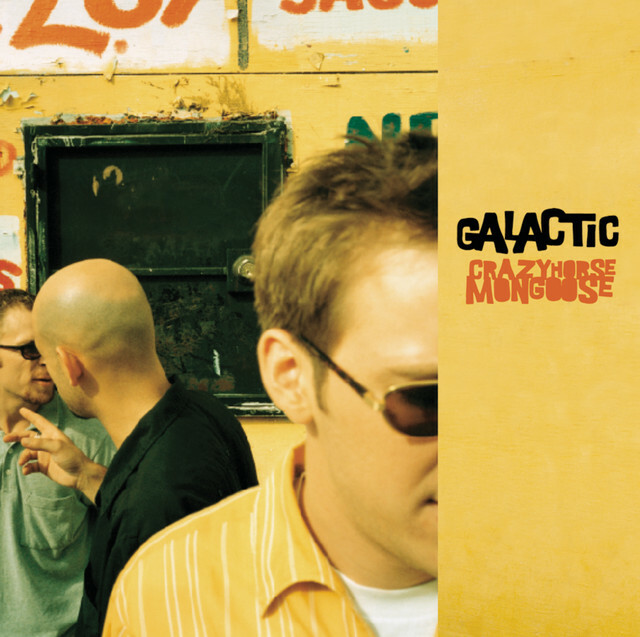 In the early 90s, Moore helped found the New Orleans-based essential funk band Galactic. 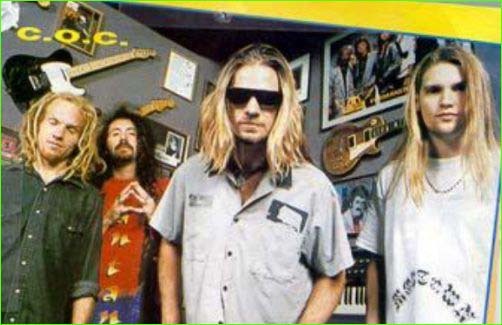 Their first album, 1996s widely acclaimed Coolin Off, led to an intense tour schedule of nearly 200 gigs a year for the next ten years. 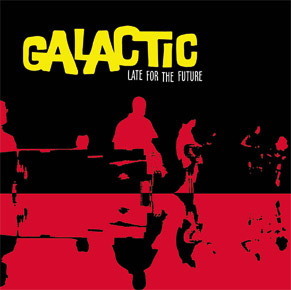 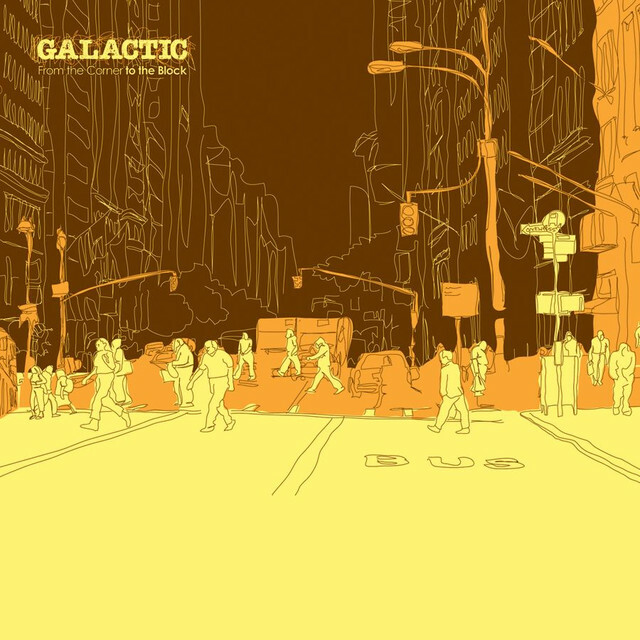 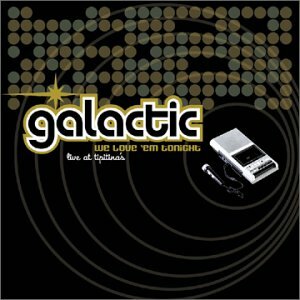 Building on their fan base by adding an esteemed list of all-star collaborations to the six albums that followed, Galactic continues to amass a worldwide audience via recording and touring globally. 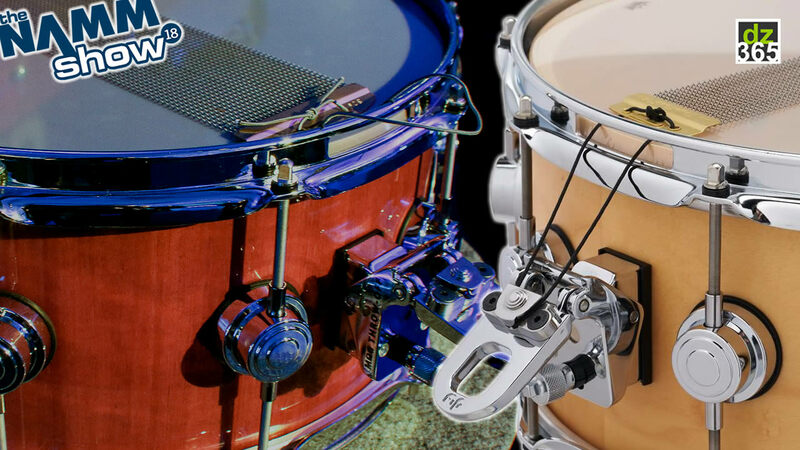 In the midst of these recording sessions yet another concept was taking shape. 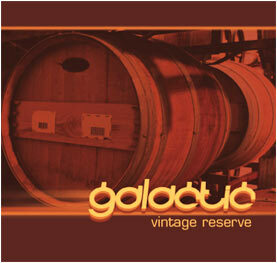 Outtakes turned into the first Garage a Trois release, Mysteryfunk (1999). 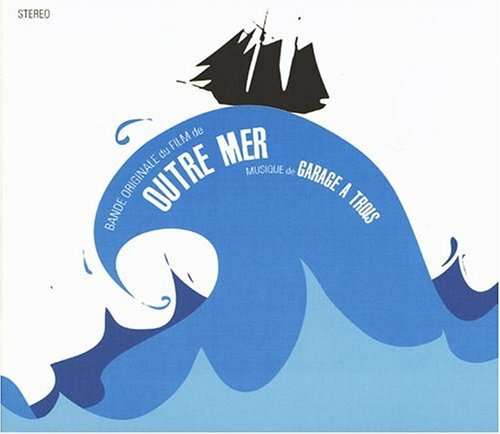 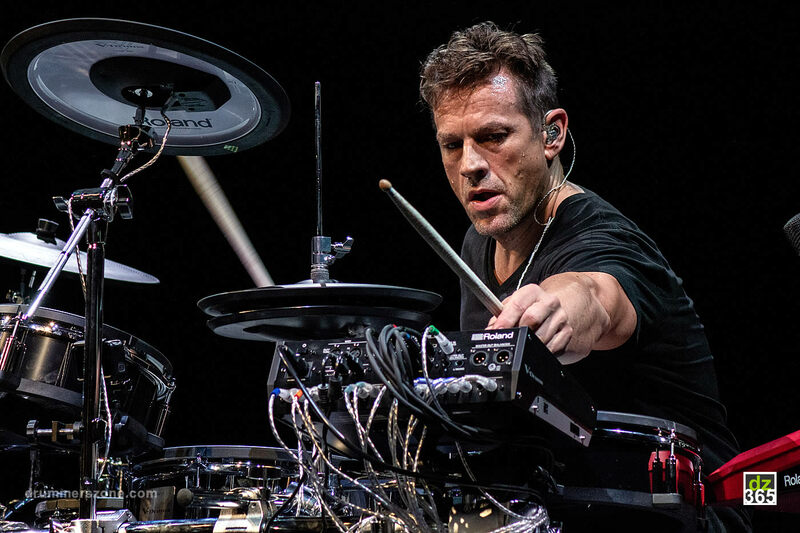 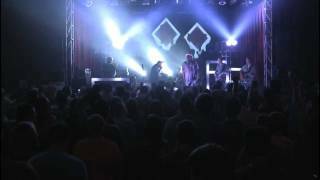 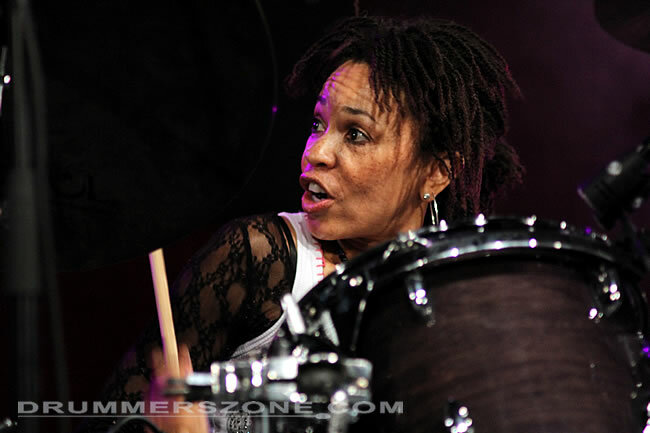 In 2000 the trio, led by Moore behind the drum kit, was joined by percussionist Mike Dillon (Les Claypool, Ani DiFranco) and has since released three more albums  Emphasizer in 2003, Outre Mer in 2005 and Power Patriot in 2009. 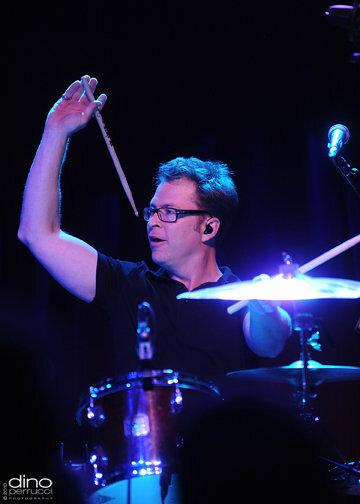 Moore extended his solo discography with the release of Flyin the Koop (Verve/Blue Thumb) in 2001, and III (Telarc) in 2006. 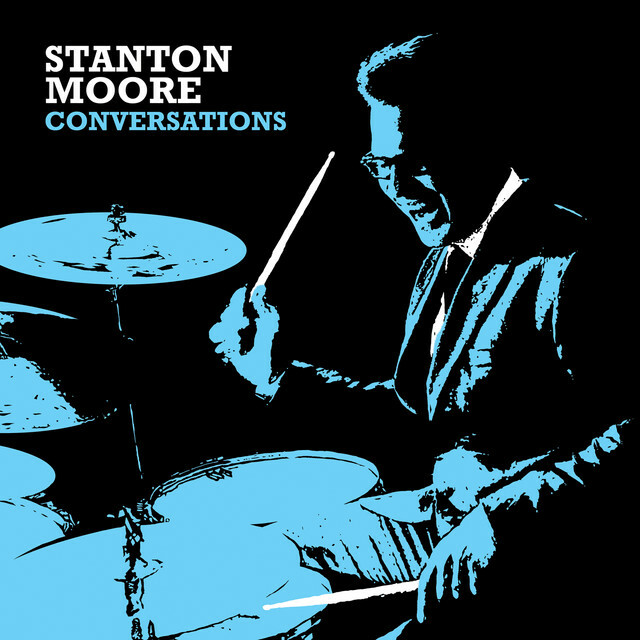 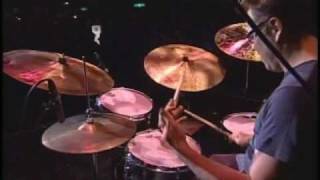 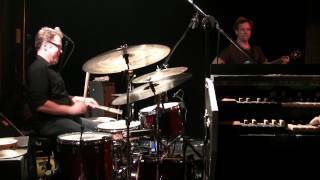 Following the latter Modern Drummer called Moores trademark sound infectious, jazz-meets-Bonham, nouveau second-line. Recorded at the legendary Preservation Hall in New Orleans, III featured organist Robert Walter (Greyboy Allstars, The Head Hunters) and guitarist Will Bernard (T.J. Kirk, Doctor Lonnie Smith) as the Stanton Moore Trio, with special guests Skerik and trombonist Mark Mullins (Galactic, Bonerama, Harry Connick, Jr., Better Than Ezra). 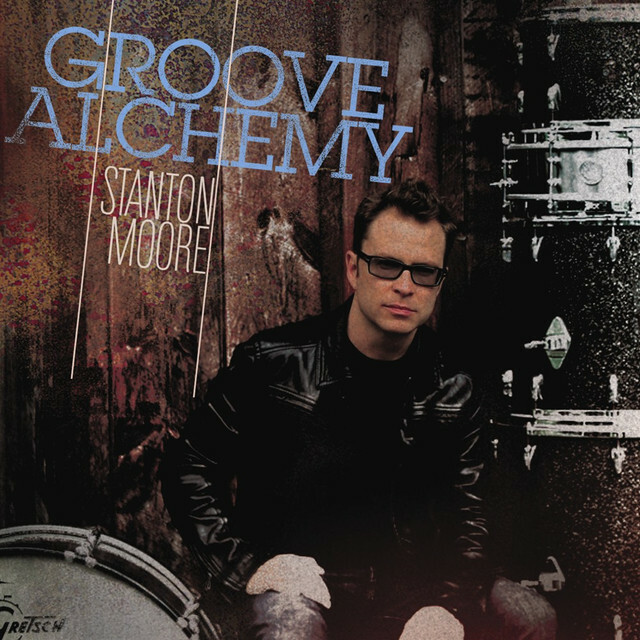 In April 2010, Moore releases Groove Alchemy. 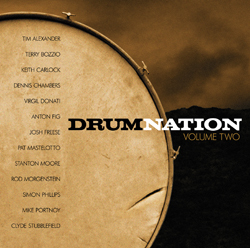 The 12-track set is the culmination of Moores multimedia project that also includes an instructional book and DVD of the same name. 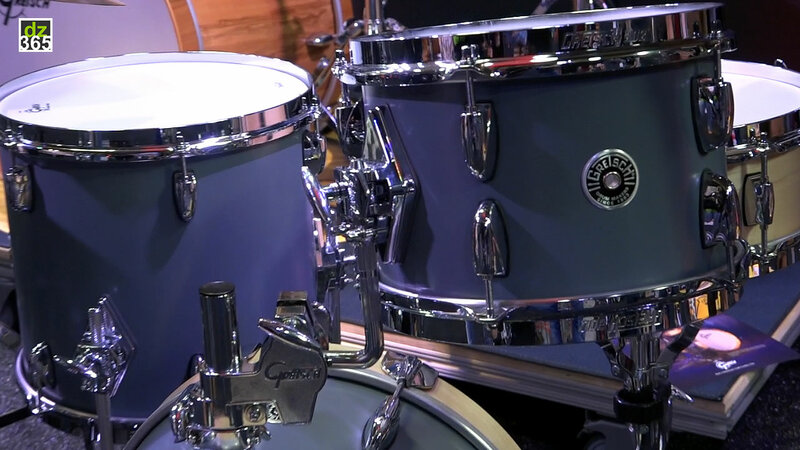 All three facets of the project are designed to explore the roots of funk drumming by examining the work of pioneers like Jabo Starks, Clyde Stubblefield, and Zigaboo Modeliste  each of whom made their mark at different times throughout the 1960s as the engines driving James Browns and the Meters legendary rhythm sections  and in turn tracing their influences back to the rhythms coming out of New Orleans in the earlier part of the 20th century. 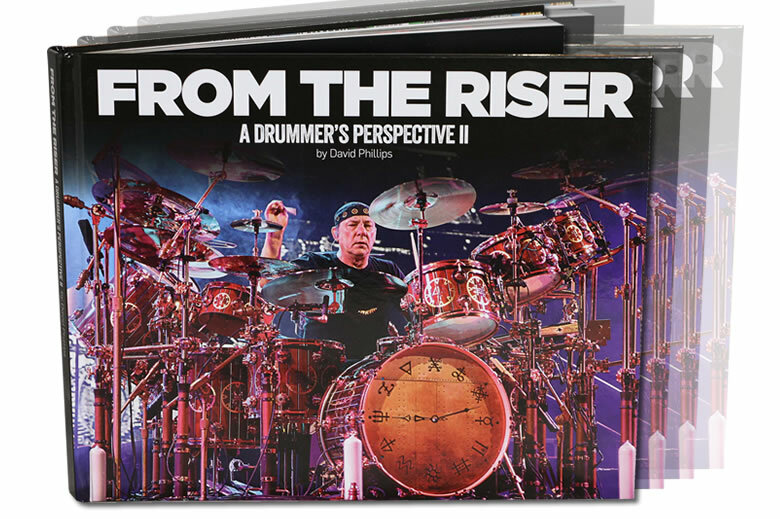 Recorded at Levon Helms studio in Woodstock, NY, this project is the follow up to the widely acclaimed Take it to the Street DVD and book that focused specifically on New Orleans drumming styles. 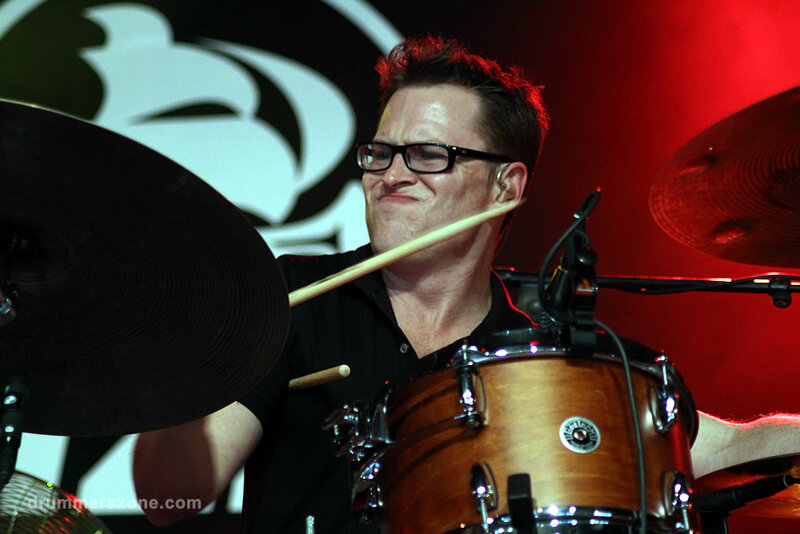 Showing his outstanding versatility, Moore has appeared on Heavy Metal Grammy nominees Corrosion of Conformitys In the Arms of God, Irma Thomas After the Rain (winning a grammy in the process), Robert Walters Super Heavy Organ, Tom Morello (Rage Against the Machine) and Boots Rileys (the Coup) Street Sweeper Social Club, Will BernarDiane Birchs Bible Belt, Alec Ounsworths (Clap Your Hands Say Yeah) Mo Beauty. 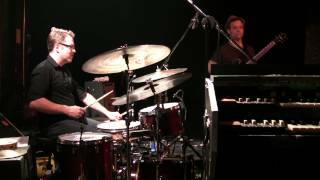 He continues to play dates globally with an ever-evolving cast of musicians including John Scofield; Karl Denson; George Porter, Jr., and Leo Nocentelli (of the Meters); Charlie Hunter; Warren Haynes; John Medeski and Chris Wood (of Medeski, Martin and Wood); Donald Harrison Jr.; Dr. Lonnie Smith, Dr. John, Tab Benoit, Robert Walter; the New Orleans Klezmer All-Stars and the Preservation Hall Jazz Band to name a few. 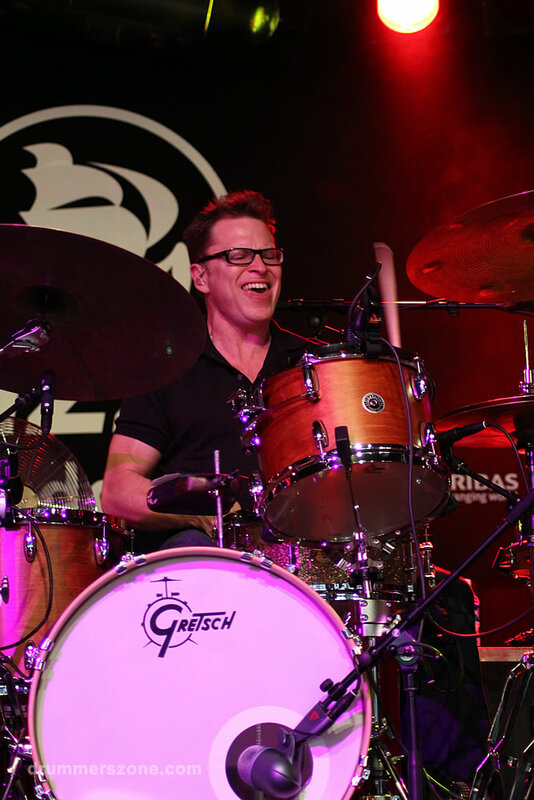 With a bachelors degree in music and business from Loyola University, Moore stays involved in education by constantly giving clinics and teaching master classes and private lessons all over the world. 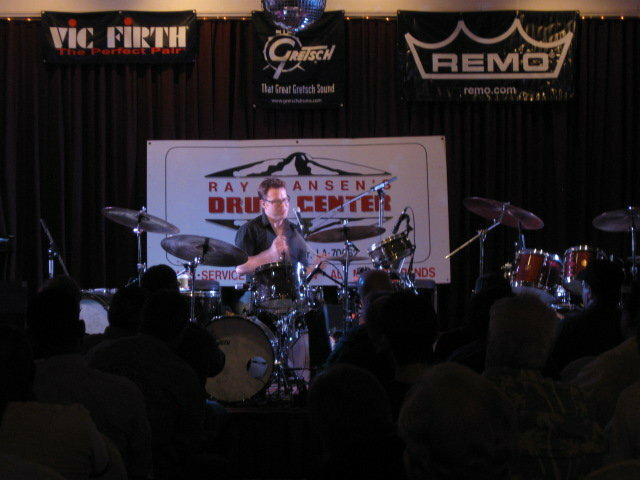 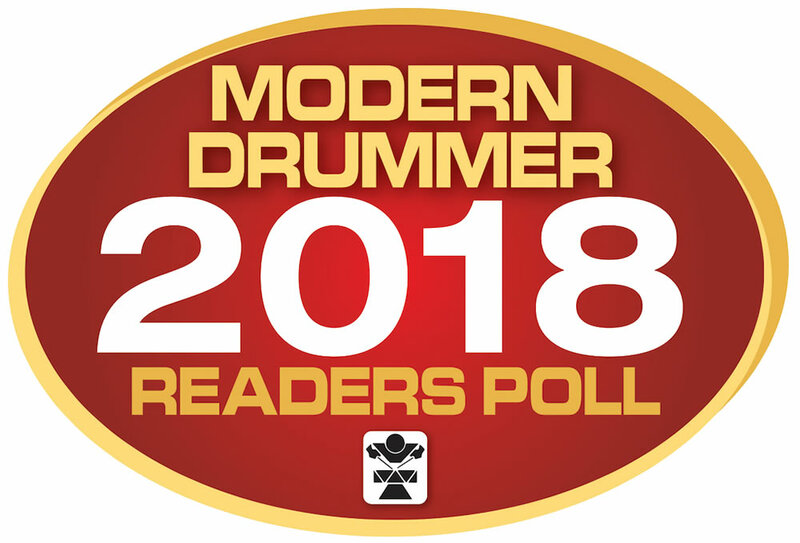 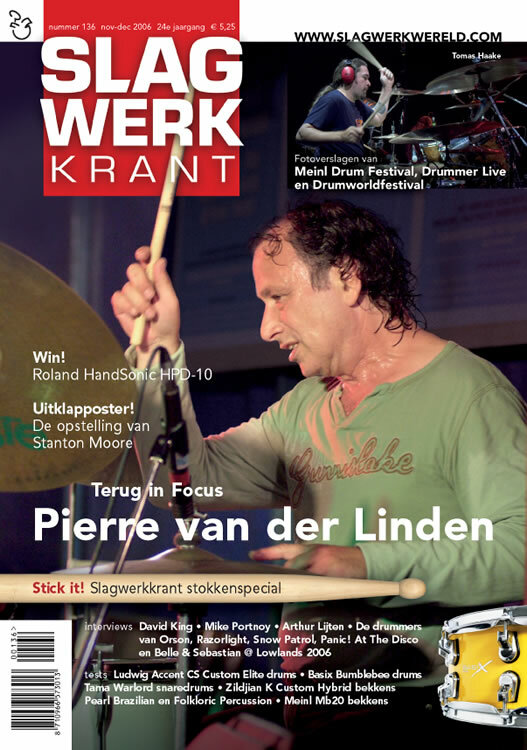 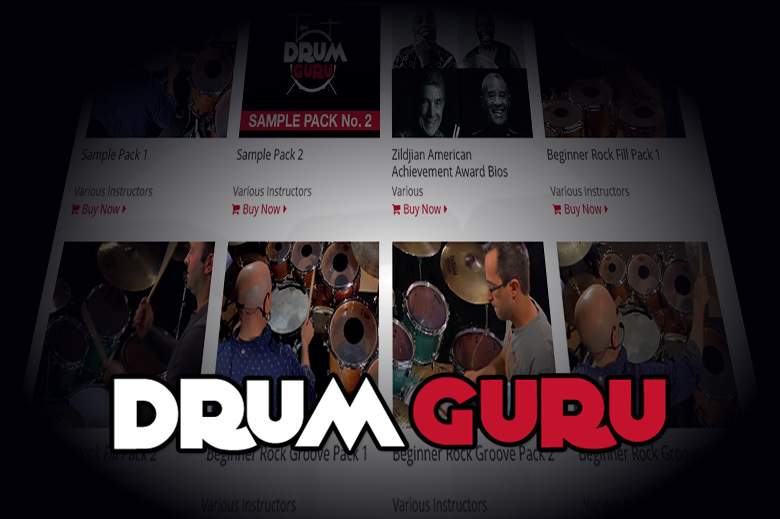 He has been a contributing writer for Drum!, Modern Drummer, and DownBeat magazines here he was featured on the covers of more than six drum publications. 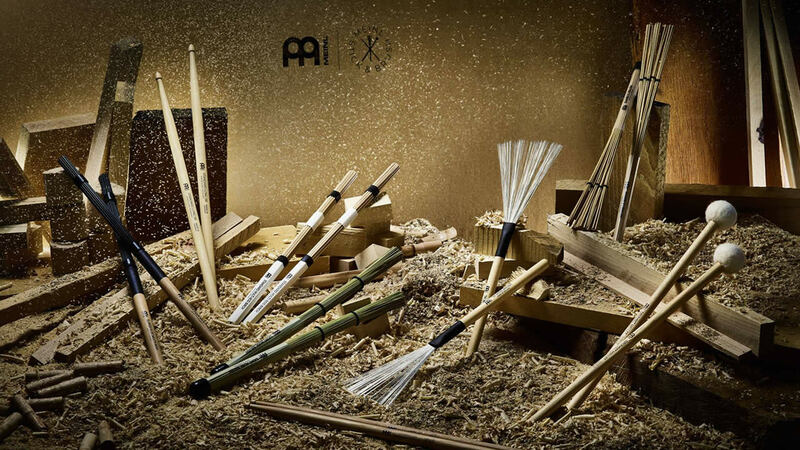 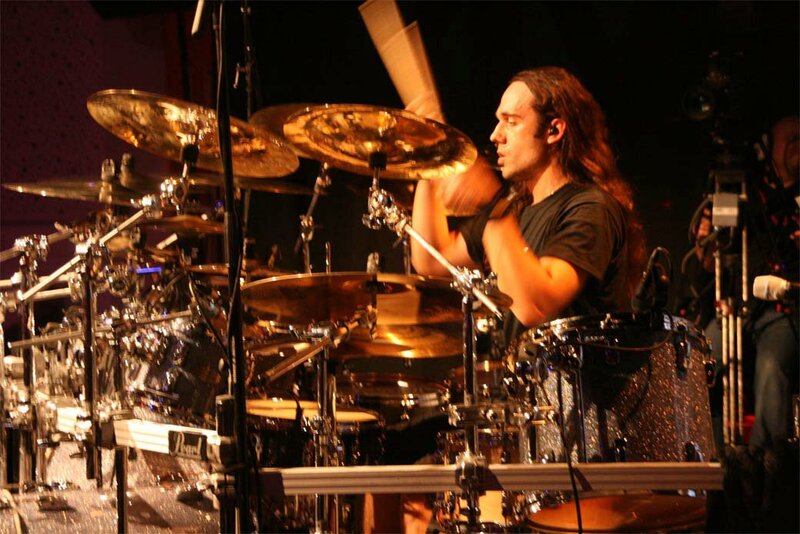 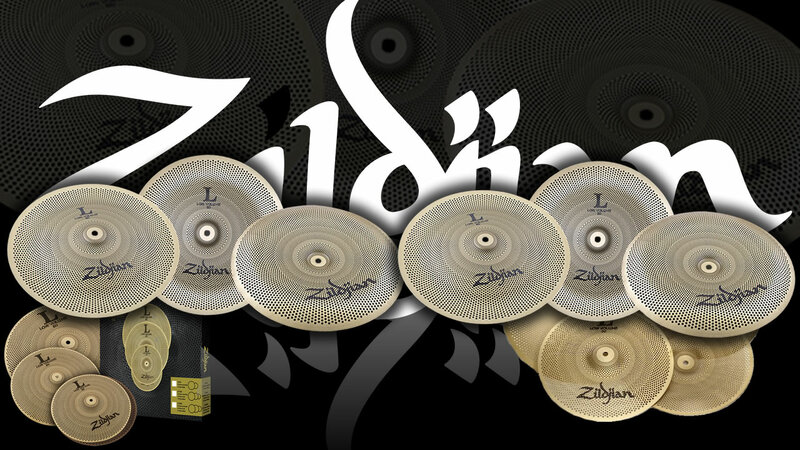 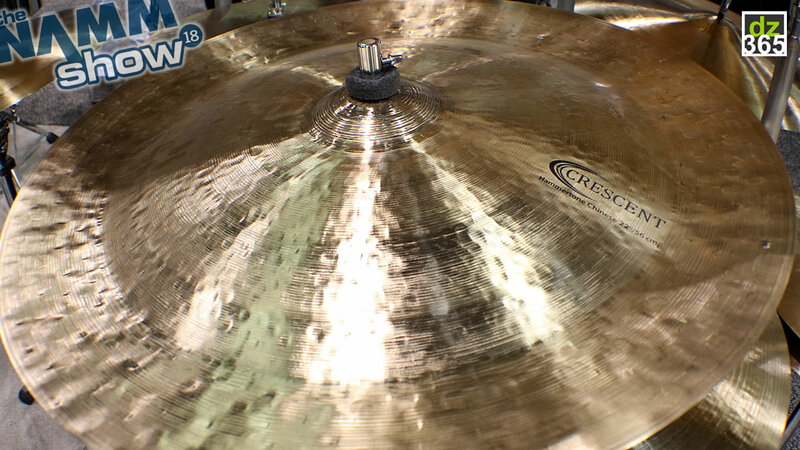 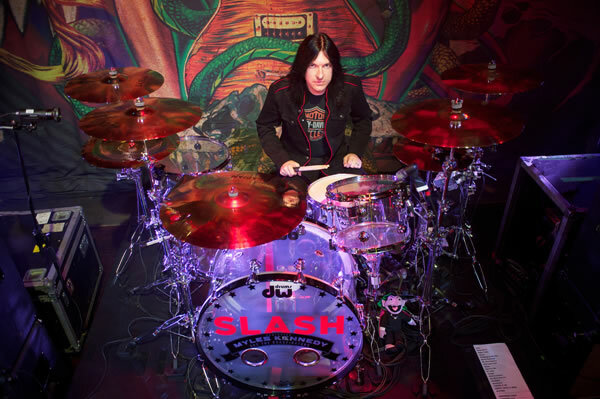 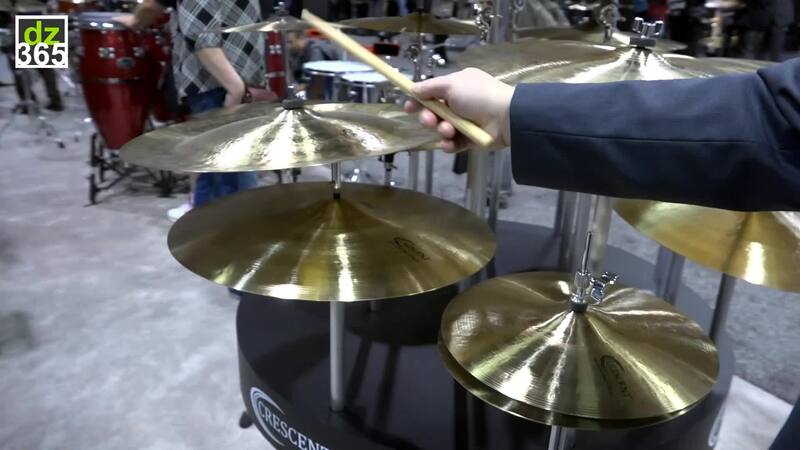 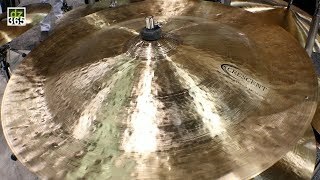 In 2005, he launched a signature line of cymbals with Bosphorus Cymbals and a signature drumstick with the Vic Firth stick company. 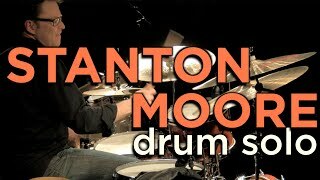 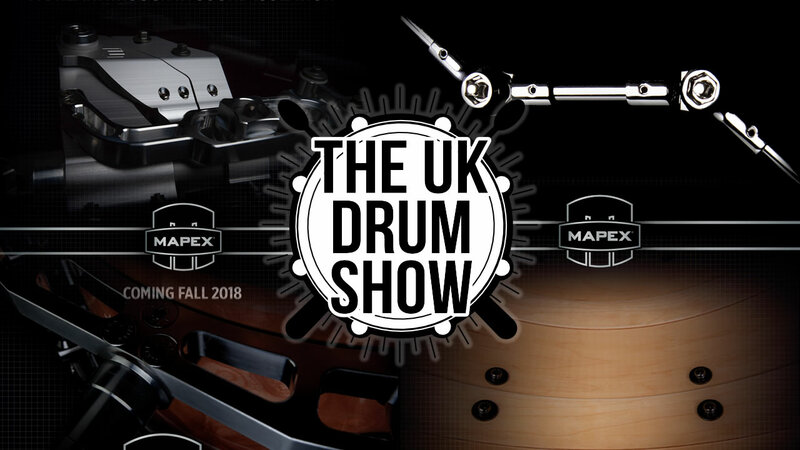 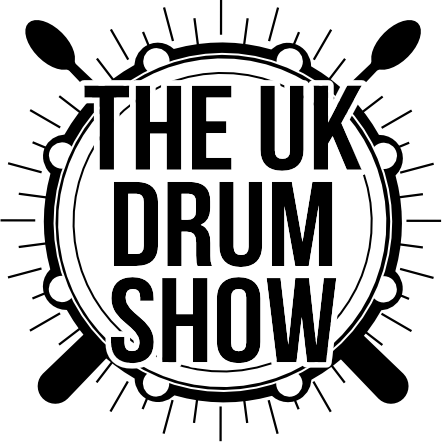 In 2009, Moore developed his own drum company to introduce his signature titanium snare drum that he designed in conjunction with Ronn Dunnett. 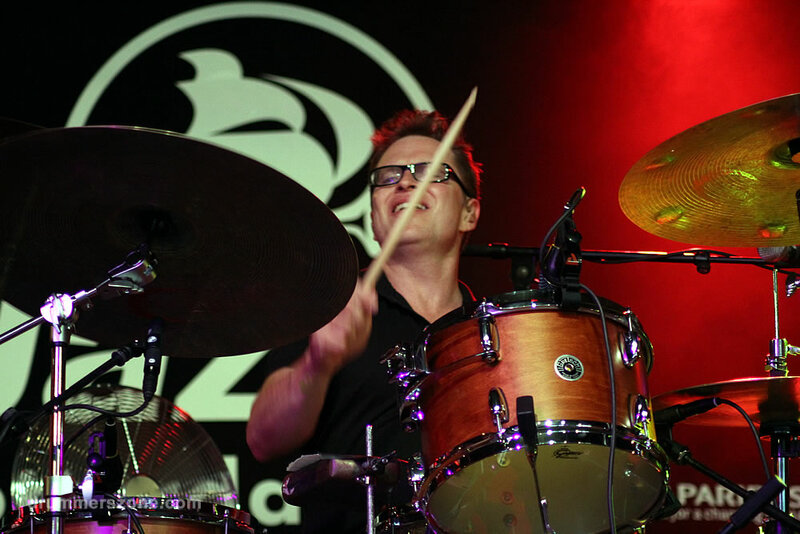 Deeply affected by Katrina and its aftermath, New Orleans native son was quick to lend a hand by spearheaded the Tipitinas Music Workshop, free Sunday seminars that cater to children and a rotating cast of well-known professionals to promote the preservation of New Orleans music. 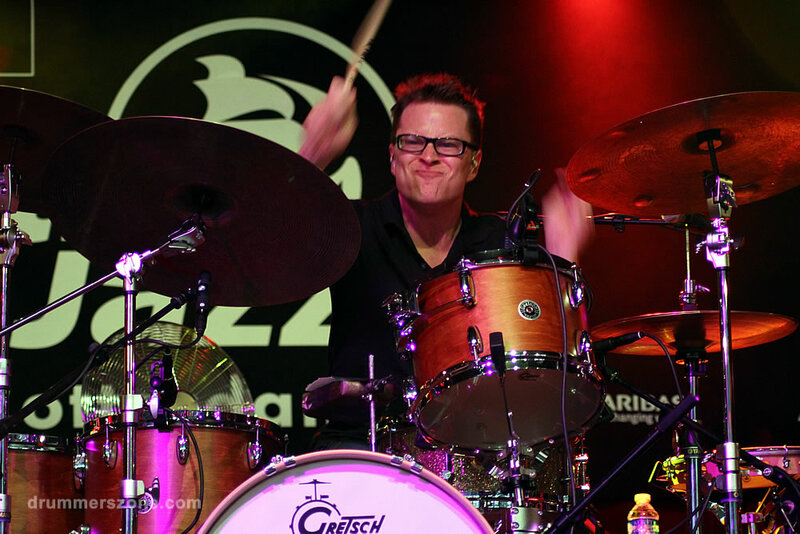 He also set up the Staletta Fund, a scholarship started by he and his wife Aletta to help cover costs for aspiring students to attend jazz camps, auditions and further their education. 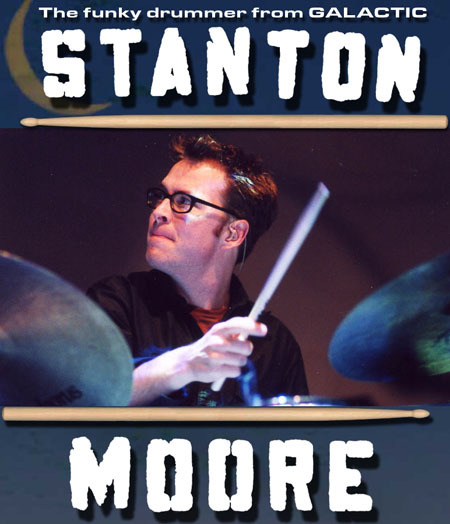 Moore stays active as a spokesperson for the Gulf Restoration Network and is a regular proponent of and player with the Voice of the Wetlands All-Stars. 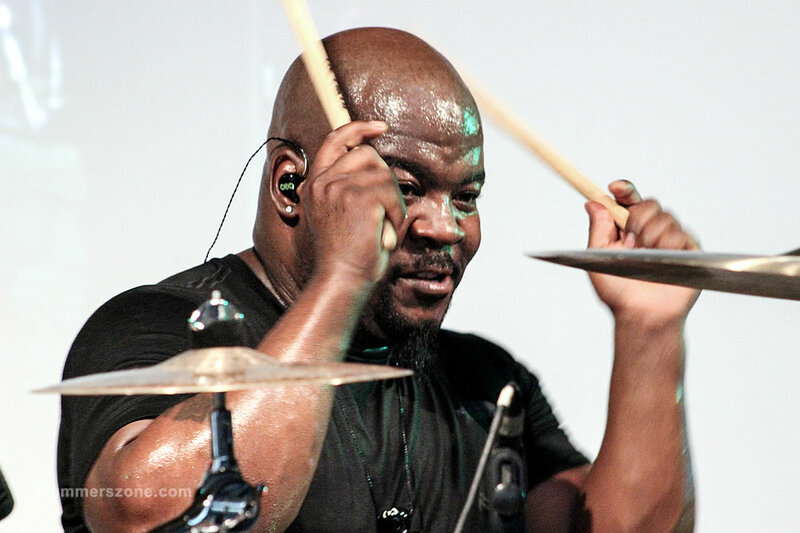 Additionally he serves on the board of directors for the Roots of Music, a free music education and academic mentoring program founded by Derrick Tabb, drummer for Rebirth Brass Band and recent nominee for CNNs Heroes awards. 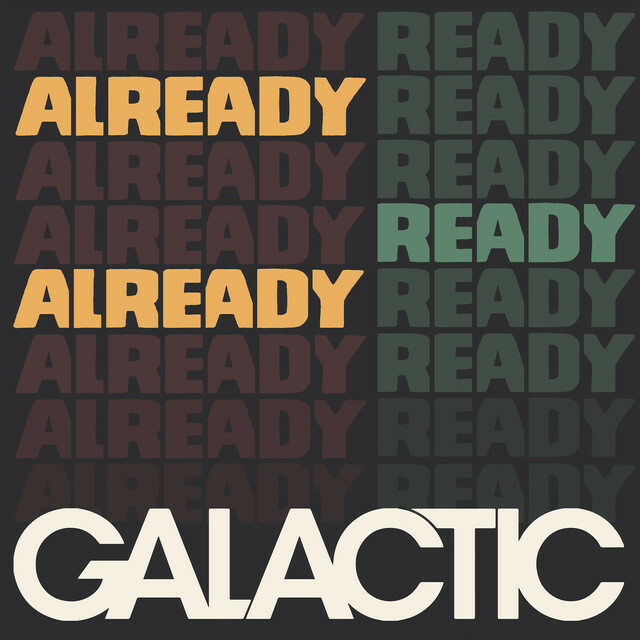 Galactics next record Ya-ka-may was released February 2010, and Moore steps into the role of producer on Anders Osbornes next record due out in April. 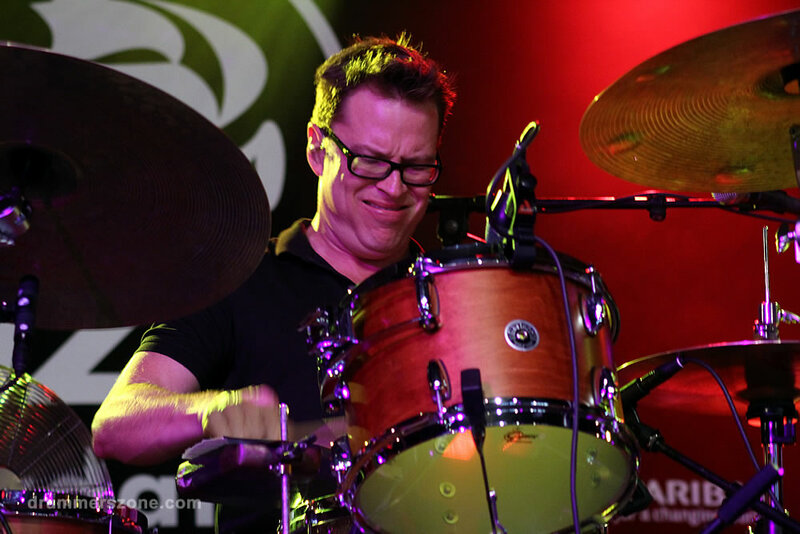 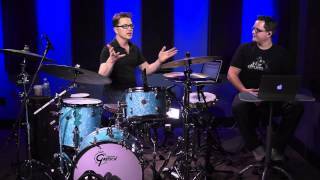 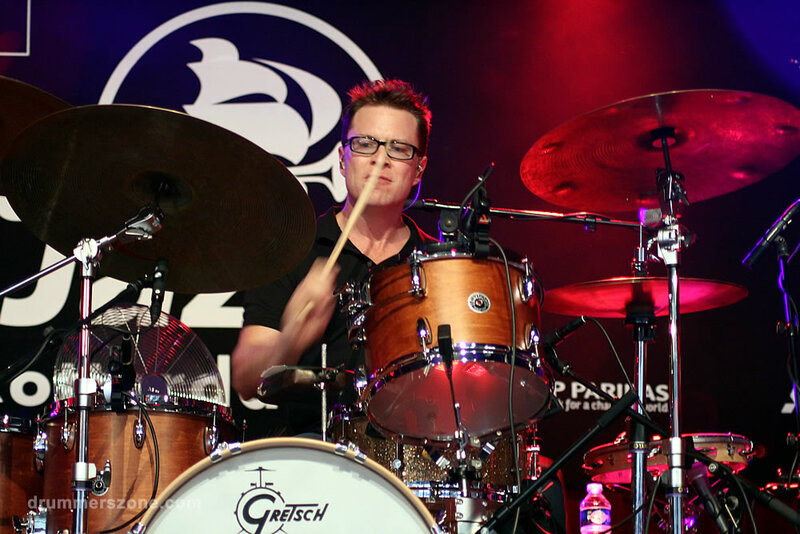 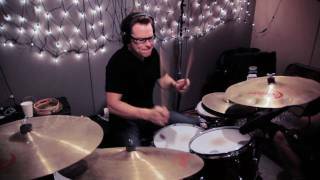 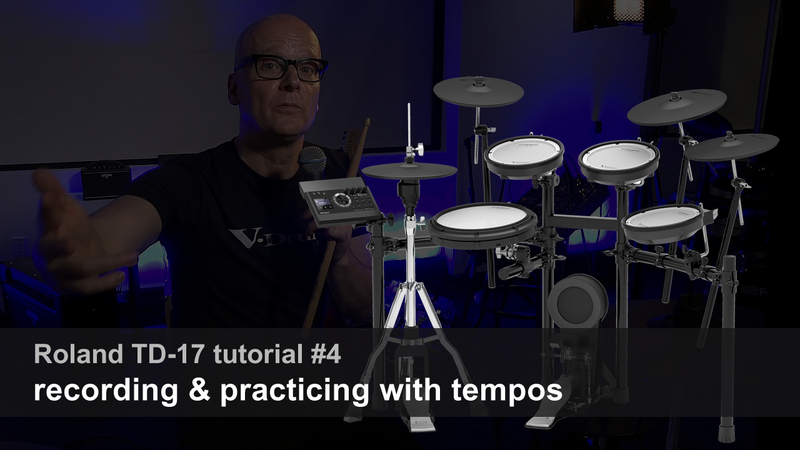 As a founding member of the immensely popular "steamroller funk" band Galactic, drummer Stanton Moore has more than a full-time job on his hands. 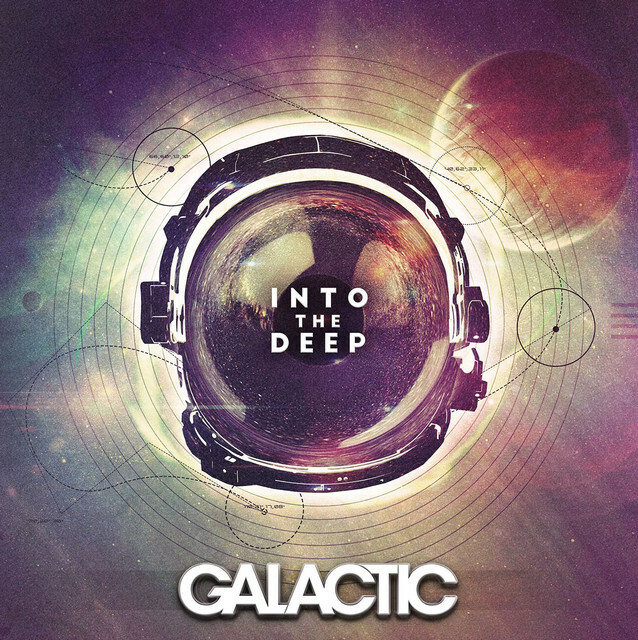 However, his devotion to Galactic has not prevented the indefatigable Moore from expanding his musical vision, which he does with fantastic results on his latest project, Flyin' the Koop. 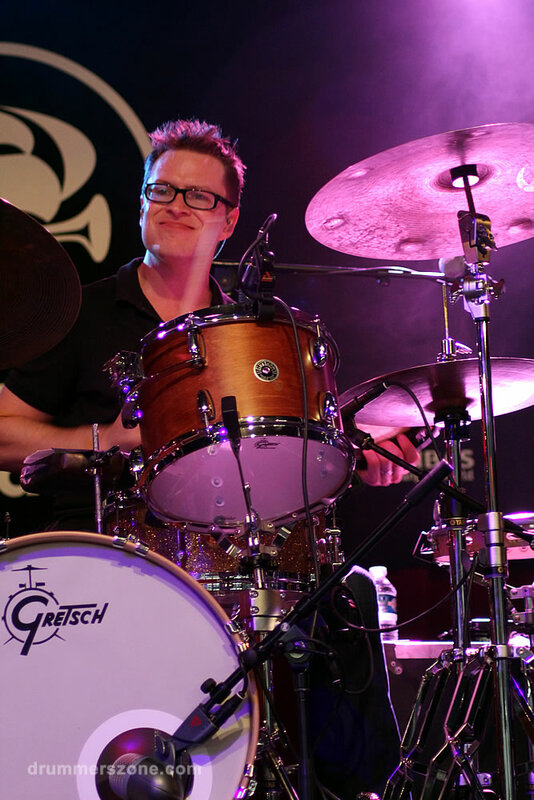 For this remarkable showcase, his second solo album and first release for Blue Thumb Records, Moore invites an all-star cast of groove-minded musicians, featuring bassist Chris Wood (Medeski Martin & Wood), saxophonist Karl Denson (co-founder of seminal acid jazz band the Greyboy Allstars and leader of his own band Tiny Universe), and guitarist Brian Seeger (New Orleans luminary and a member of Moore & More). 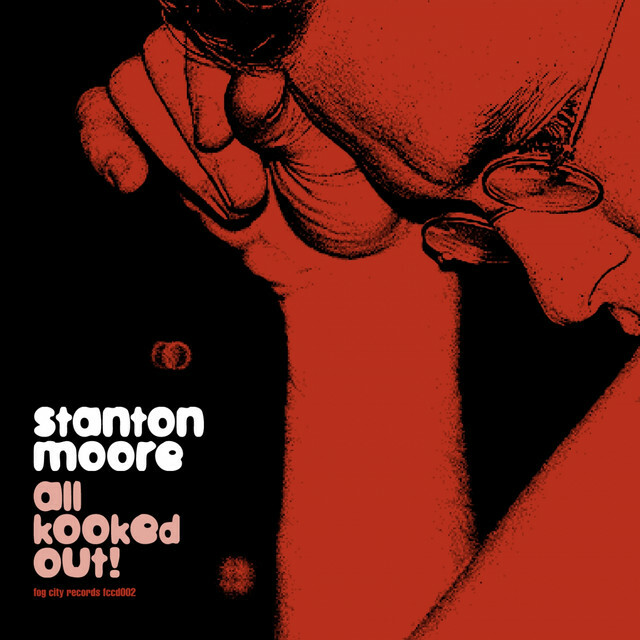 Moore also includes saxophonist Skerik and the vocal magic of the Wild Magnolias Mardi Gras Indians on "Fallin' off the Floor." 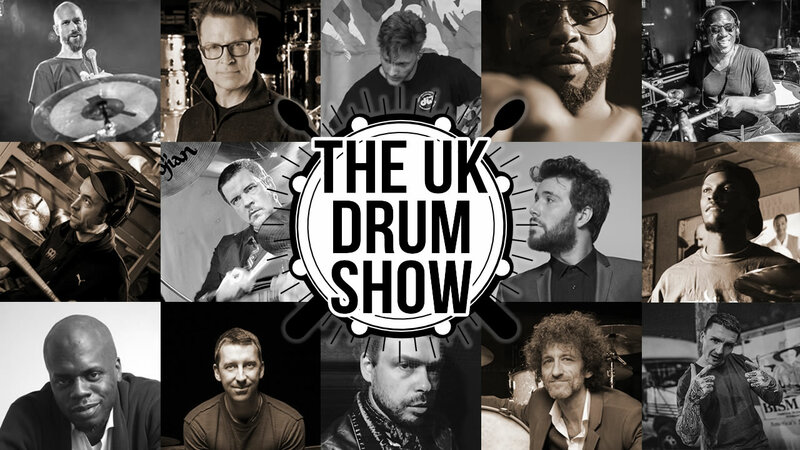 The 12-track collection is groove-driven, jazz-informed, and stylistically eclectic, with tunes ranging from rhythmic cookers to straight-ahead jazz launches, from melodic beauties to raunchy funk-rompers. "At first I was a little concerned that listeners would think I was having an identity crisis because of the variety," says Moore, who co-produced the album with Galactic producer Nick Sansano. 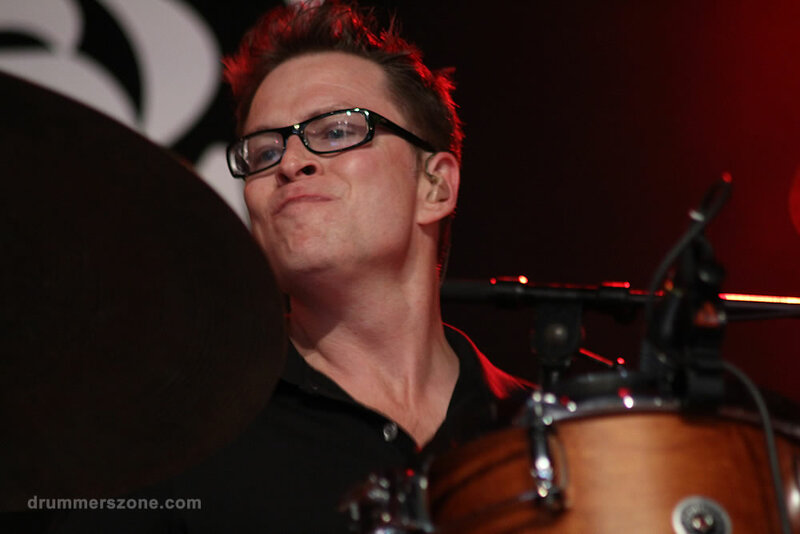 "But Nick convinced me that these tunes reflect all the sides of my personality. 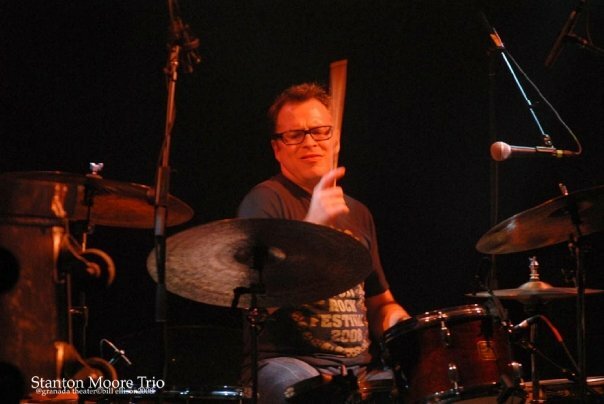 That's why the album is titled Flyin' the Koop. 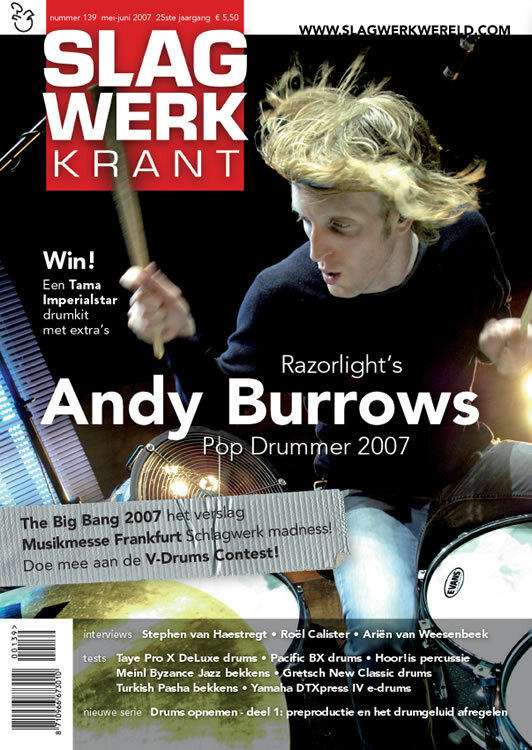 I was in the studio battling with myself about the tunes: 'Is this too weird, is this too straight-up, should I put them all together?' 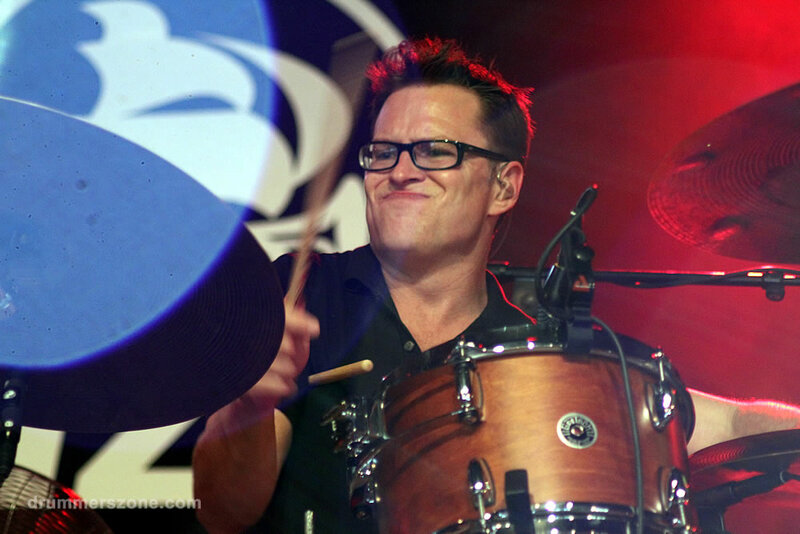 And then I figured that if you believe in the music, you've got to free yourself from inhibitions and limitations. 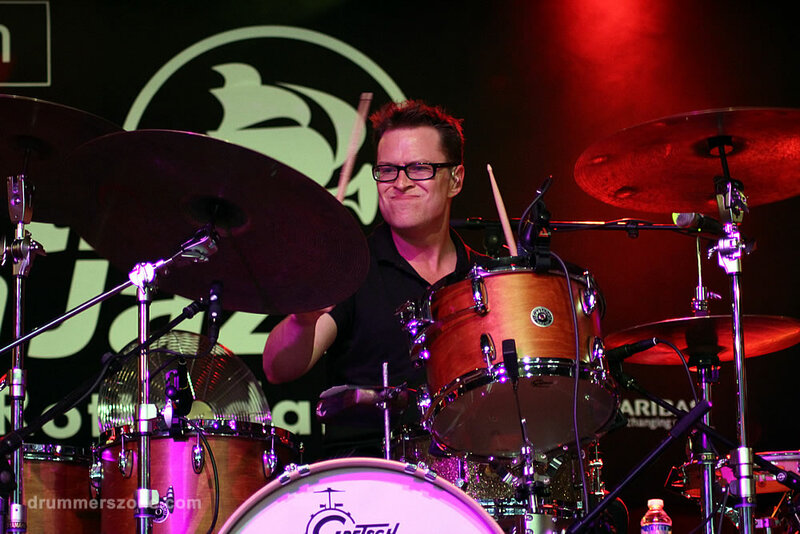 If you're jumping up and down in the studio 'cause the music is so great, then screw it: You've got to fly the coop." 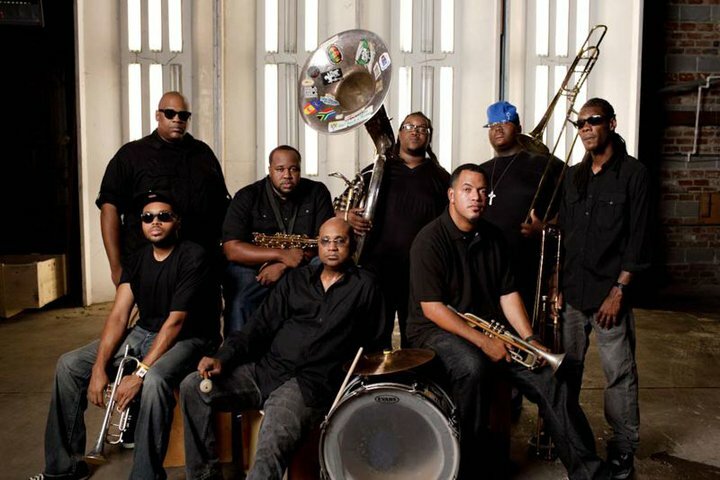 Moore explains that the Flyin' the Koop project began in February 2000 when he was asked to perform at a "super jam" session at Tipitina's in New Orleans. 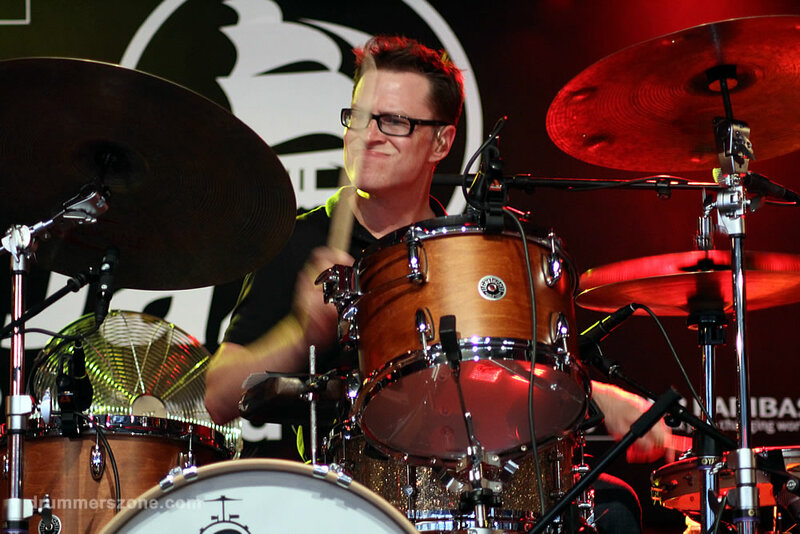 Other artists on the bill were Chris Wood, Karl Denson, Henry Butler, and [Meters guitarist] Leo Nocentelli. 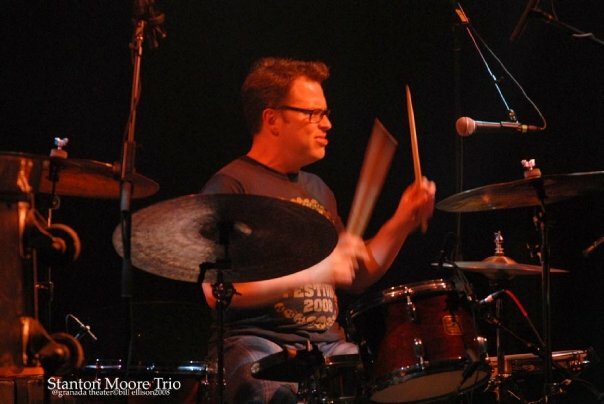 "Chris, Karl, and I were scheduled to open the show as a trio for a short set," Moore says. 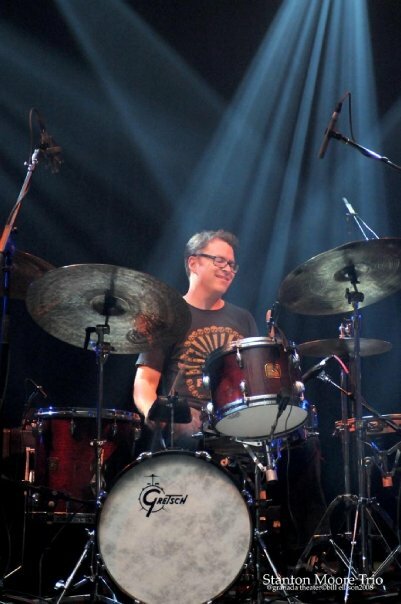 "At the soundcheck I knew this would form the basis of my next solo record. 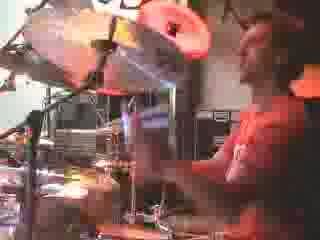 Even before the gig itself, I asked Chris if he'd be up for recording. 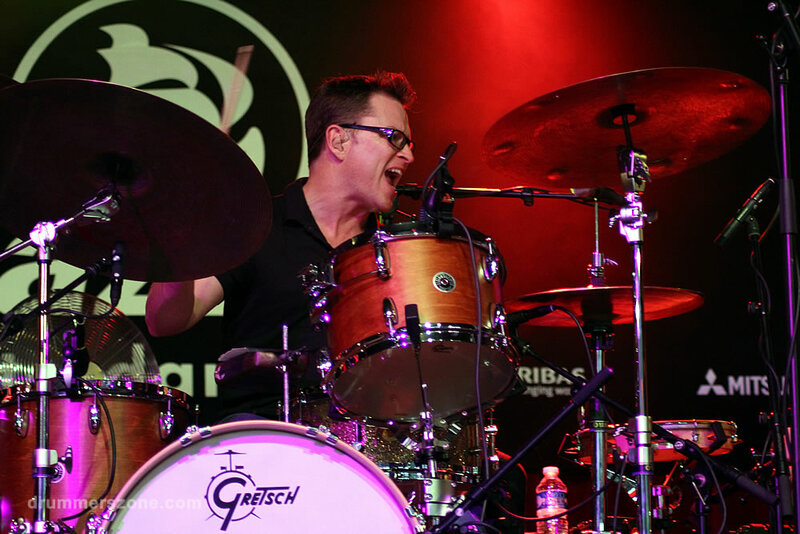 That night I envisioned Karl playing with Skerik and having the sessions essentially be a quartet, with two horns, bass and drums, and also incorporating the Mardi Gras Indians." 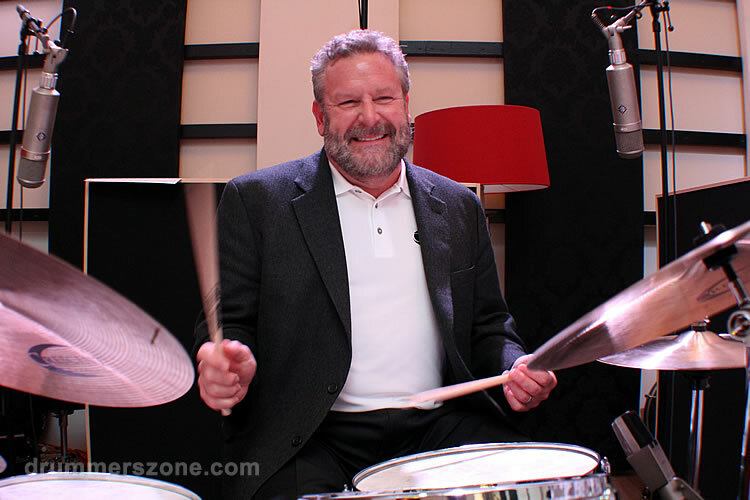 Even though it took a while for the album to be completed because of busy and conflicting schedules, Moore knew he had the right personnel. 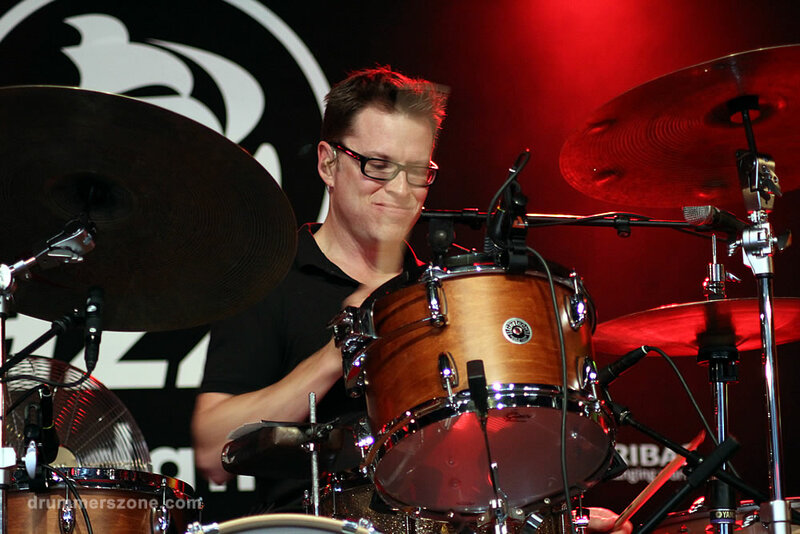 "I wanted this project to have a lot of improvisation, but I didn't want it to sound like a standard jazz record. 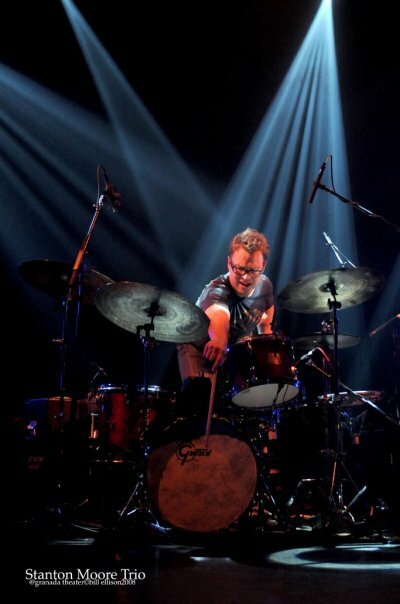 I wanted an edge to the recording with different sounds and loops to make an interesting twist." 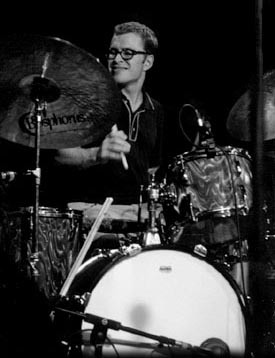 While there were some pre-composed tunes, Moore went into the studio with loops that the rest of the band improvised on. 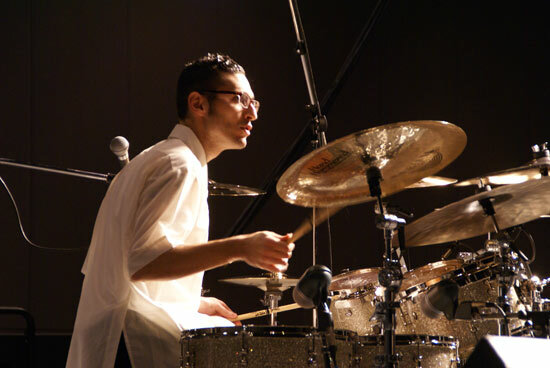 Then he and Sansano edited the mix. 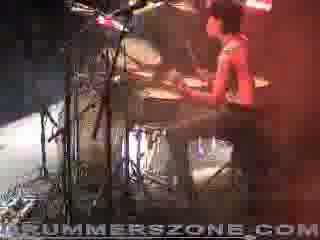 "It's funny. 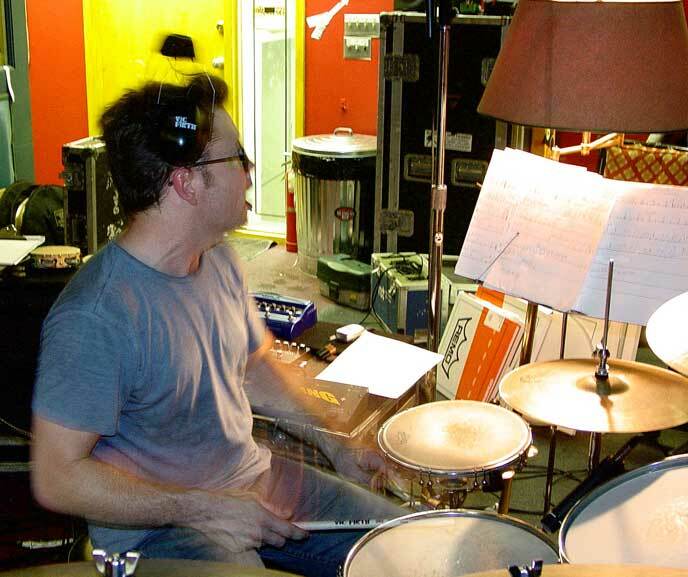 Most of the stuff we kept were the first-pass improvisations. 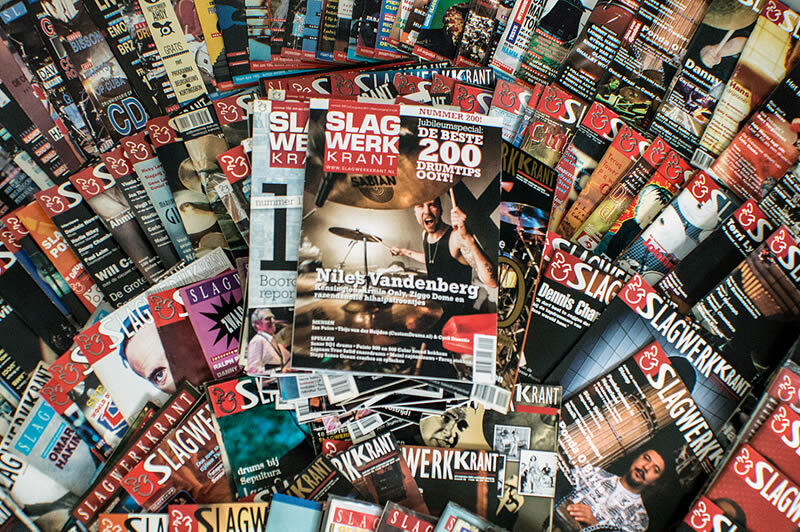 What we were going for was capturing spontanaeity while also having the luxury to edit if we needed." 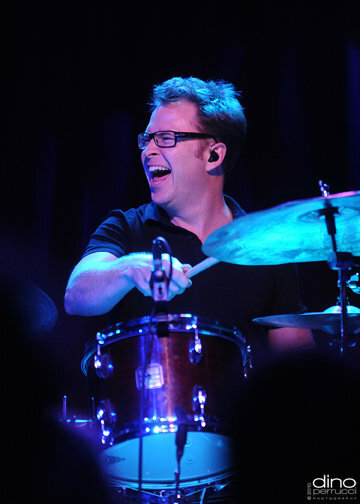 "The concept of the album was to develop as many improvised pieces as possible, but I also asked Brian to write some tunes that we could have on hand," says Moore. 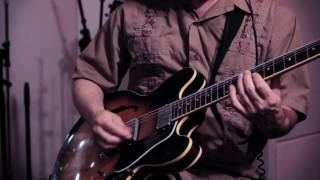 Examples include the guitar-led, straightahead-oriented "Let's Go" co-written by Moore & More organ player Charlie Denard, the funk-jazz Seeger-Denard "Hunch" (the only song on the disc with back-to-back horn solos), and Seeger's grooving "For the Record." 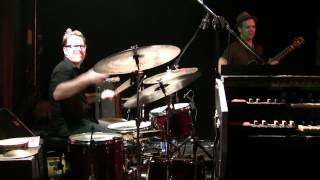 Flyin' the Koop opens with the upbeat number "Tang the Hump" with a kicking groove that Moore and Wood developed together. 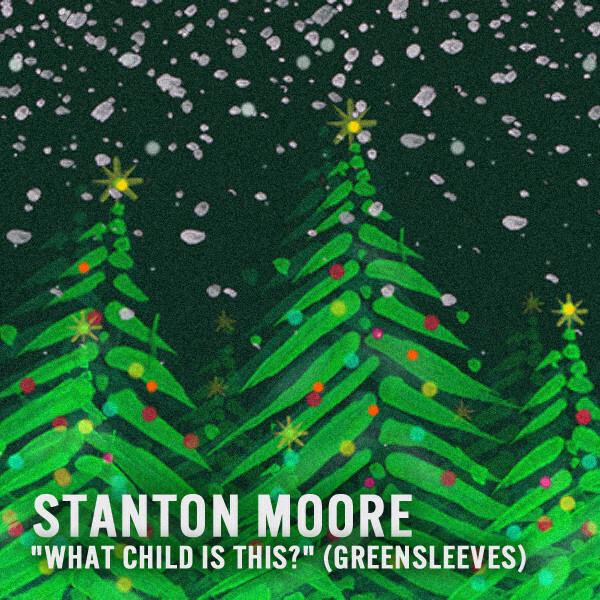 "This is a song that I would have never come up with on my own," Moore says. 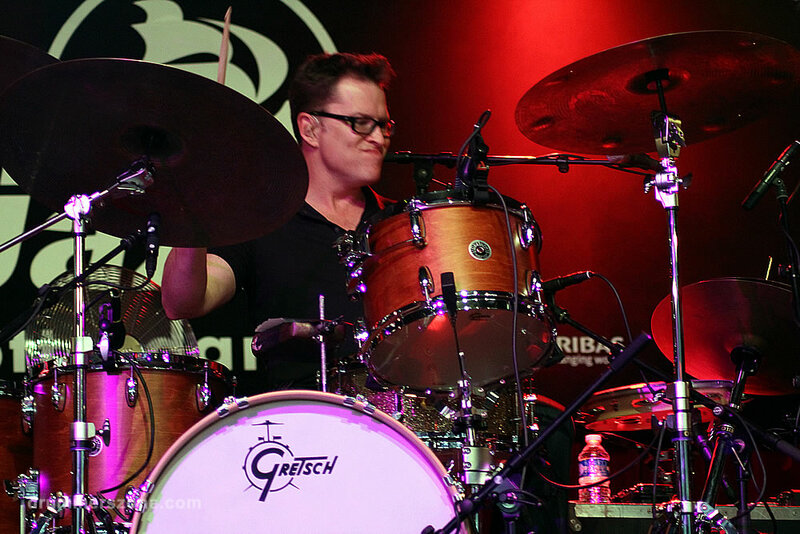 "Chris asked me to play that groove. 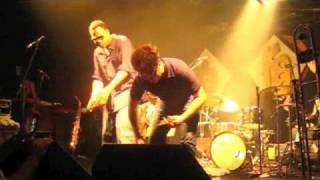 Once we developed it, we knew Karl and Skerik would be able to arrange their horn parts on the spot. 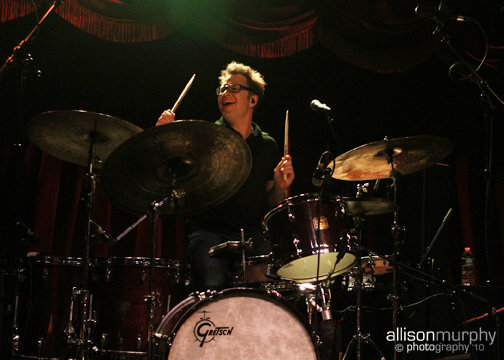 I love the melodies they came up with." 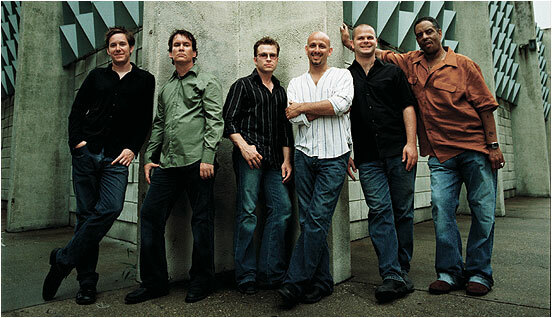 Later on the album, the lyrical track "Prairie Sunset" came together in a similar manner. 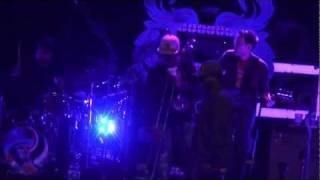 The pace changes on the second cut, "Fallin' Off the Floor," a driving number featuring Wood's loopy slide bass lines, Denson's wafting flute contributions, and a vocal loop of the Wild Magnolias Mardi Gras Indians. 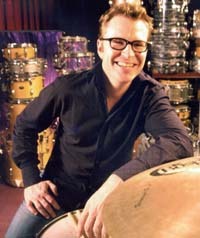 Moore initially created the song with a "slushy" drum loop in friend Brian McRae's studio. 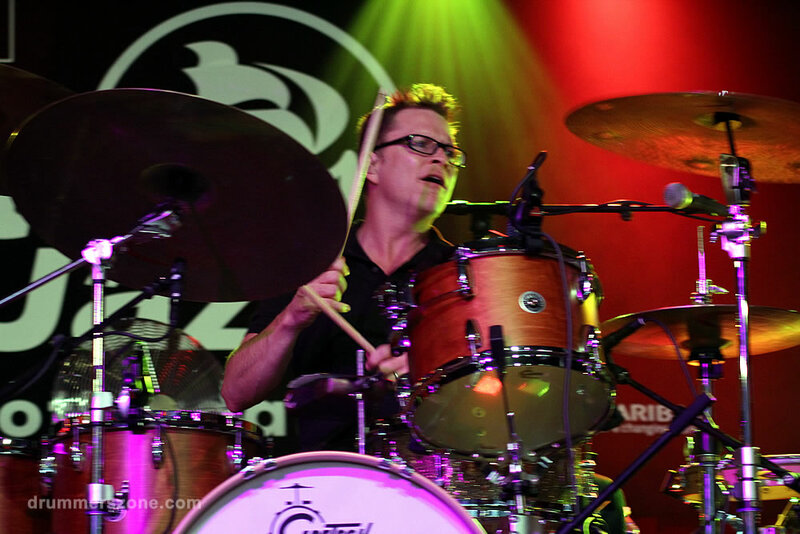 He says it was influenced by the Mardi Gras Indians, who he later enlisted to sing vocals. 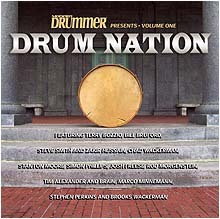 Also on the CD is a highly charged cover of the tune "Magnolia Triangle," composed by New Orleans native James Black. 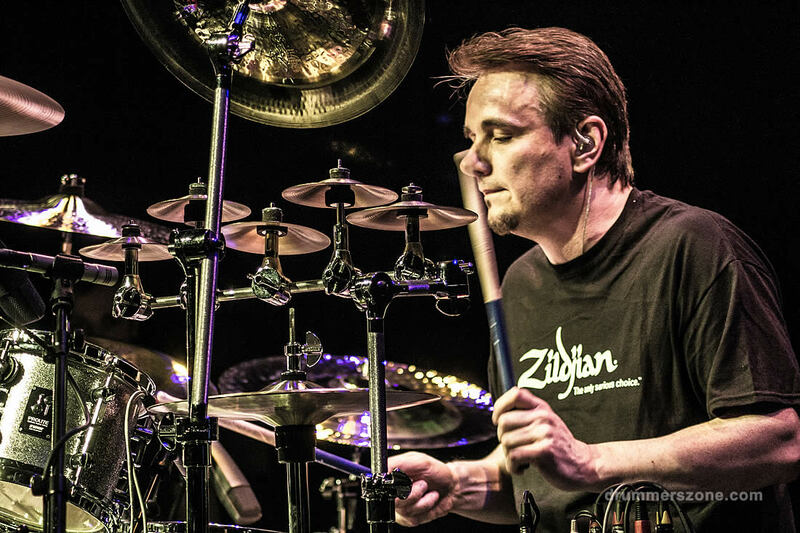 "He was such an amazing talent," Moore says. 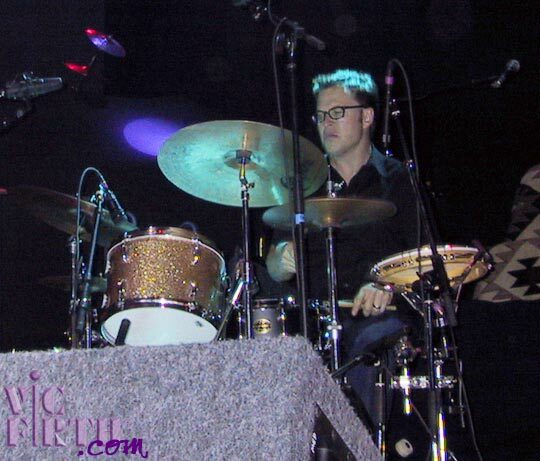 "The things he wrote were so rhythmically and melodically advanced. 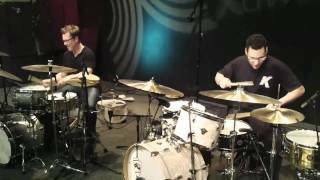 I used to play this song with Charlie Hunter and Skerik. 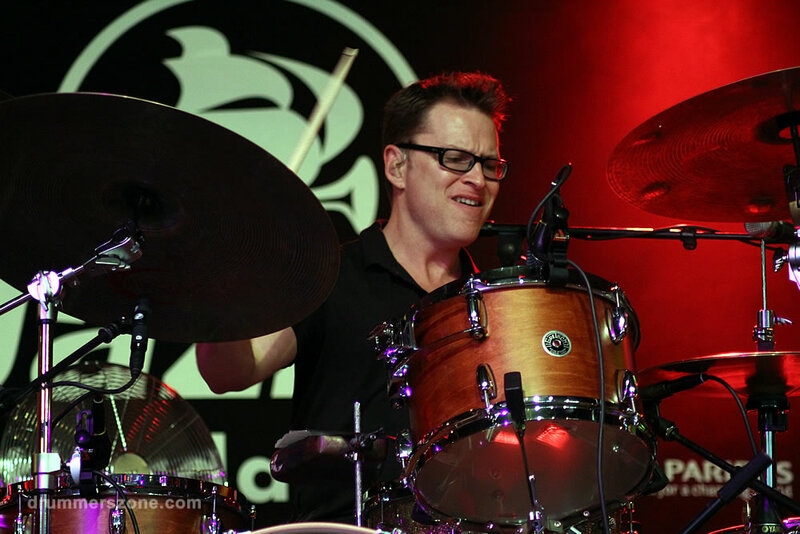 So Skerik, Chris and I tried it a few times in the studio and we got the energy that we wanted." 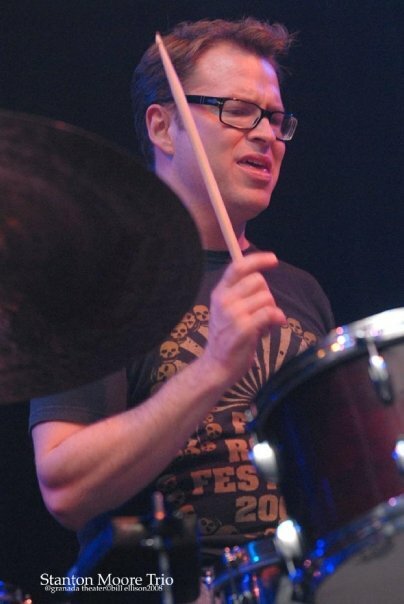 Other highlights on Flyin' the Koop include the funkified and gripping "Launcho Diablo" (featuring Skerik playing his tenor sax through a pedal board for an acid guitar-like sound); the raucous "Things Fall Apart" (inspired by Moore's bass pedal literally falling apart after the first bar); the drum-march dirge "Amy's Lament" (a tune Moore wrote on the piano before the sessions); "Bottoms Up" which is based on a bass line Wood played at the above mentioned Tipitina's gig and expanded upon here with Moore playing a 26-inch bass drum; and the rambunctious closer, "Organized Chaos." 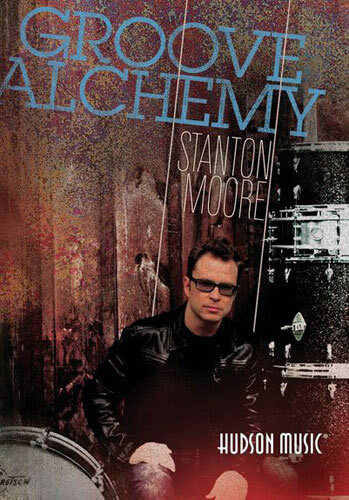 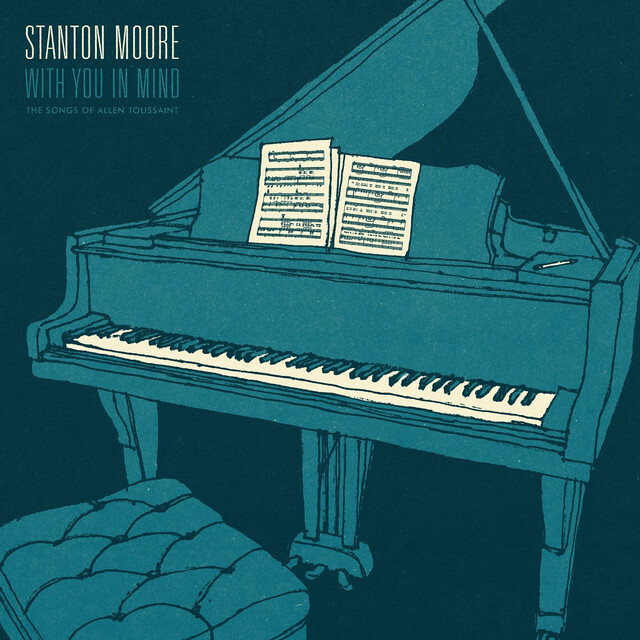 Of the latter, a funky number with a gritty soundscape, Moore says, "This is one of my favorites on the album. 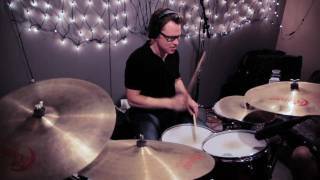 We went into the studio and improvised over a loop. 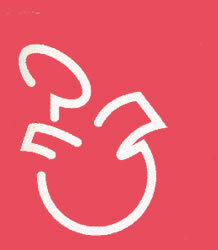 After we were done, I thought, 'ooooh, this doesn't even need any editing.' 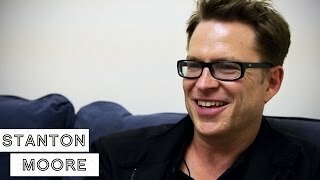 We put it on the album just as it was recorded." 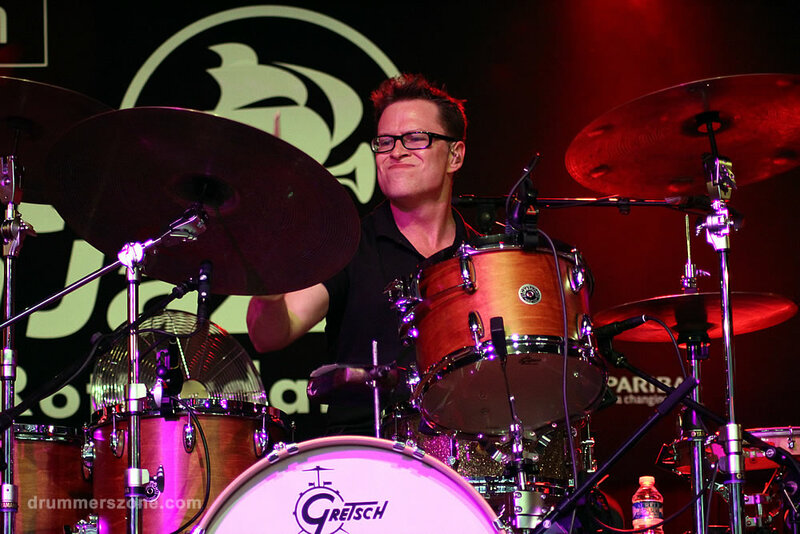 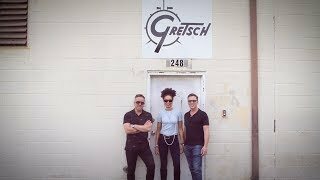 The New Orleans-born, -bred, and -based drummer tours regularly with Galactic on the international funk-groove scene, igniting the dance floor with grooves steeped in the Crescent City rhythmic tradition. 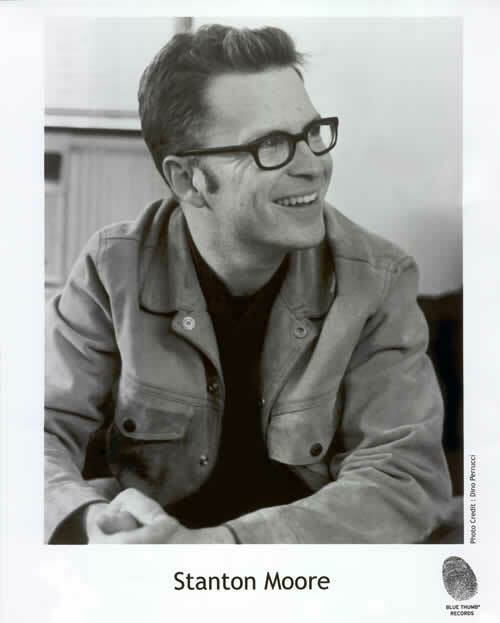 However, Moore's oeuvre as an artist is far more expansive. 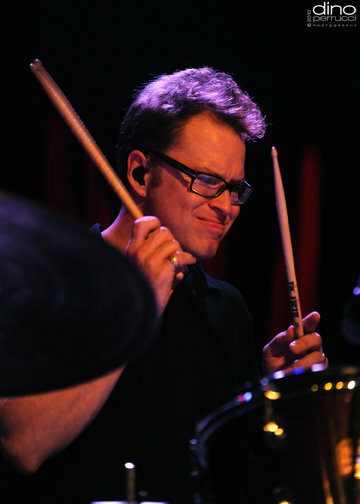 In addition to his drumming duties with Galactic, Moore has been devoting his spare time to playing in various other bands, including the New Orleans Klezmer All Stars (a group that mixes traditional klezmer with street beats) and his own hometown organ quartet Moore & More (where the groove is deep and the improvisations bold). 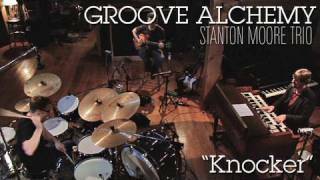 In 1998, Stanton recorded his debut solo album, All Kooked Out!, with eight-string guitar wiz Charlie Hunter and saxophonist Skerik. 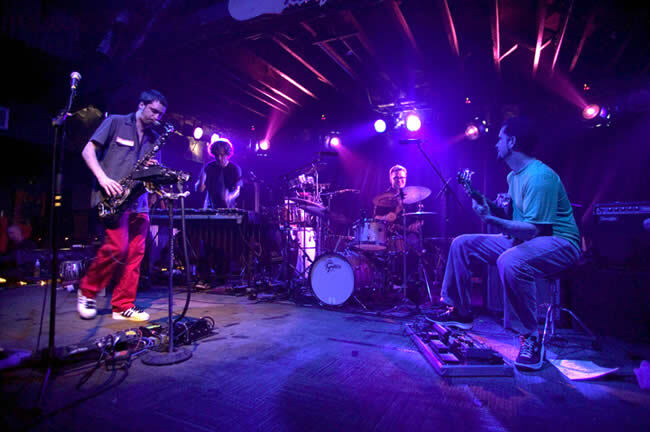 All these collaborations have profoundly influenced the music on Flyin' the Koop. 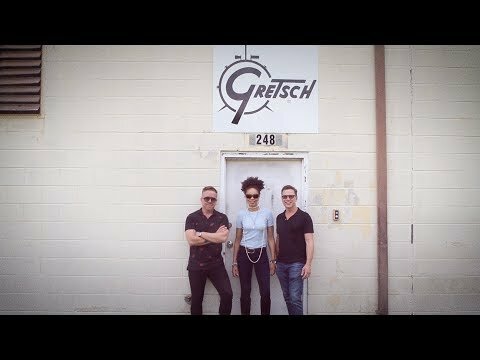 Taken as a whole, this record is one of the strongest New Orleans-based albums of the new decade. 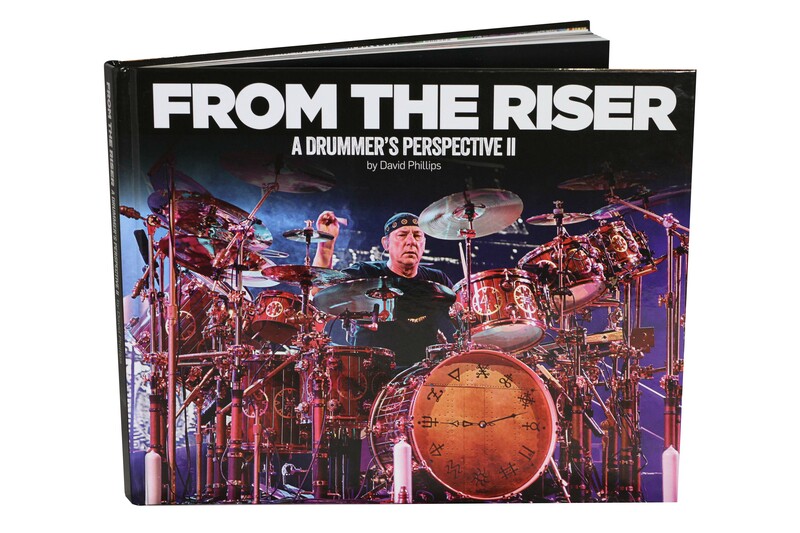 And it convincingly offers a compelling look at the next page in the city's illustrious musical history. 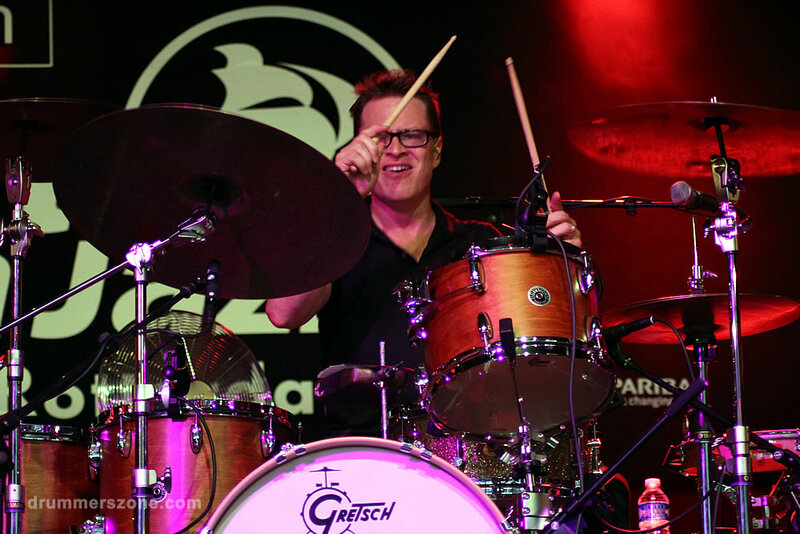 "As I was growing up, I'd hear all these great New Orleans musicians, then trace their ideas to the past, whether it was the Mardi Gras Indians or the early brass bands," Moore says. 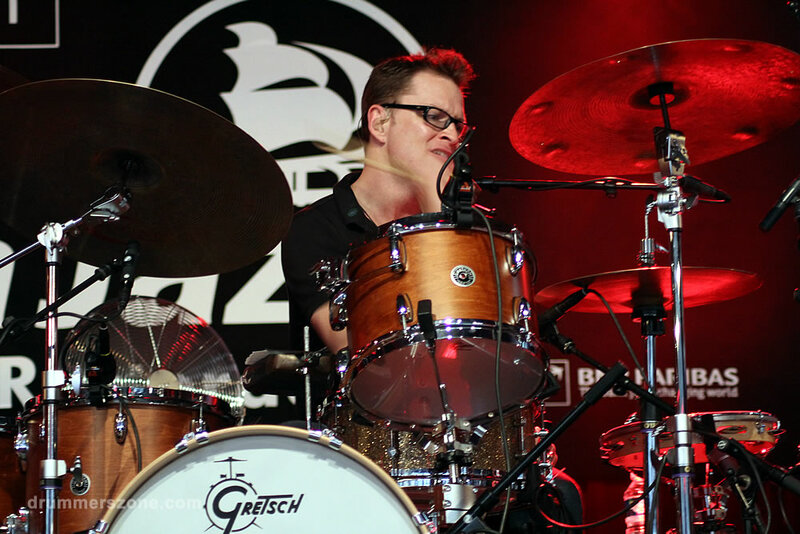 "It's taken me a long time to come up with my own voice and my own take on New Orleans. 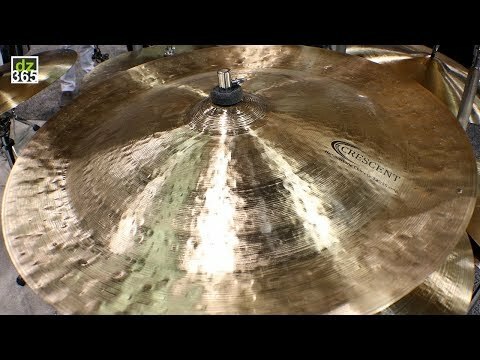 I wanted to put my own spin on the roots without playing obvious street beats. 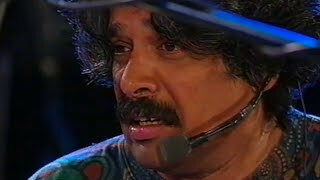 In the past, I played the obvious just to let people know that I'd checked out the rich traditions. 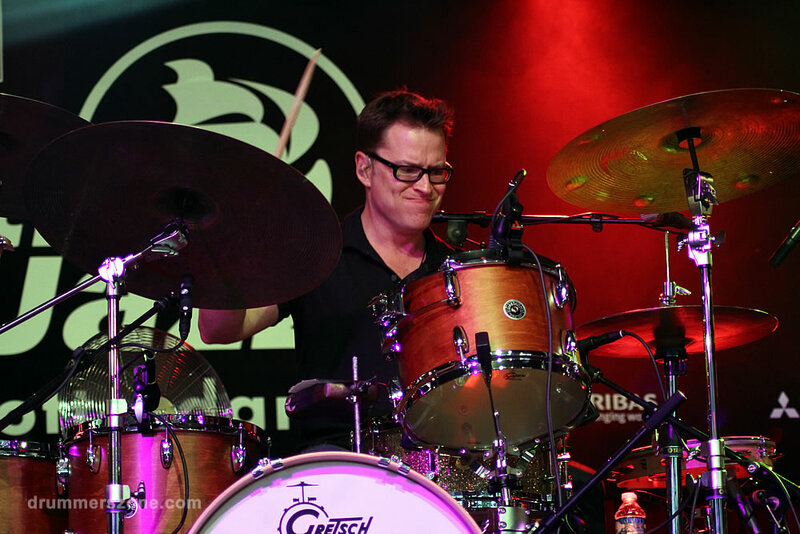 But for this album, I knew it was time to do something different-to incorporate modern technology and come up with my own grooves, ideas, sound-mixes, and songs that push the New Orleans tradition forward." 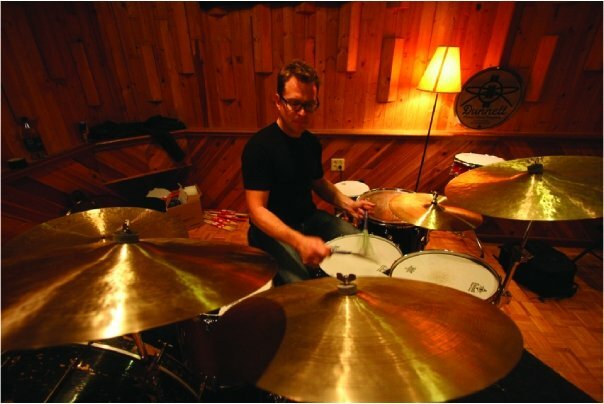 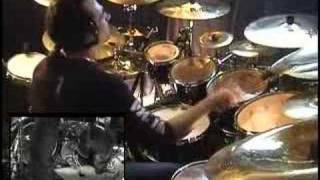 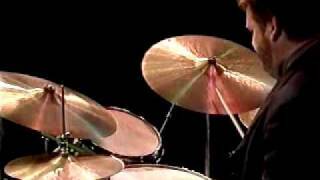 In 2004 Stanton Moore lays down drum tracks for Corrosion of Conformity (COC). 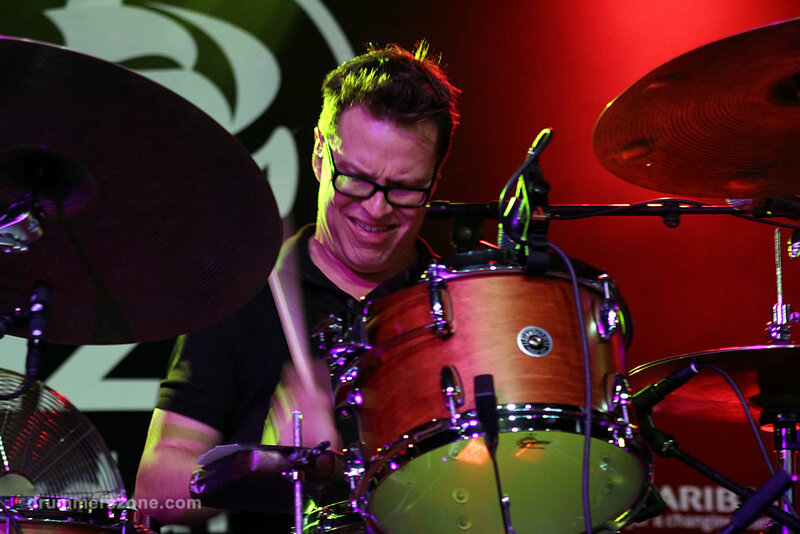 "He's one of the most progressive drummers I know," COC vocalist/guitarist Pepper Keenan says of Moore. 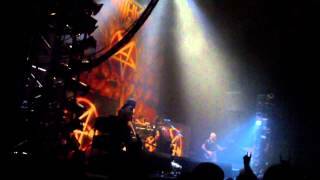 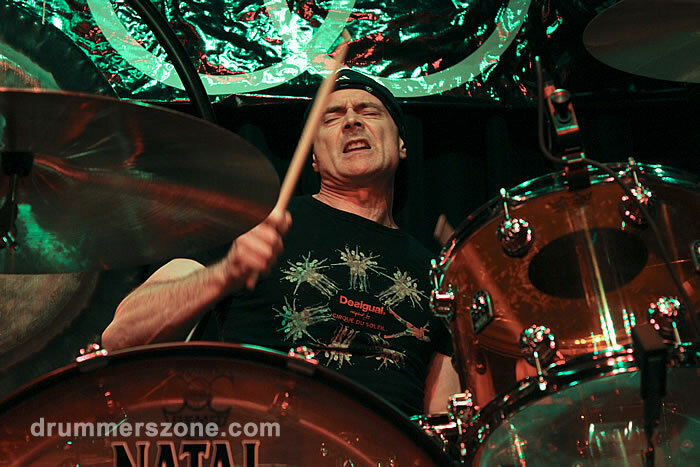 "In the heavy metal world nobody really knows who he is, but after they hear this they will. 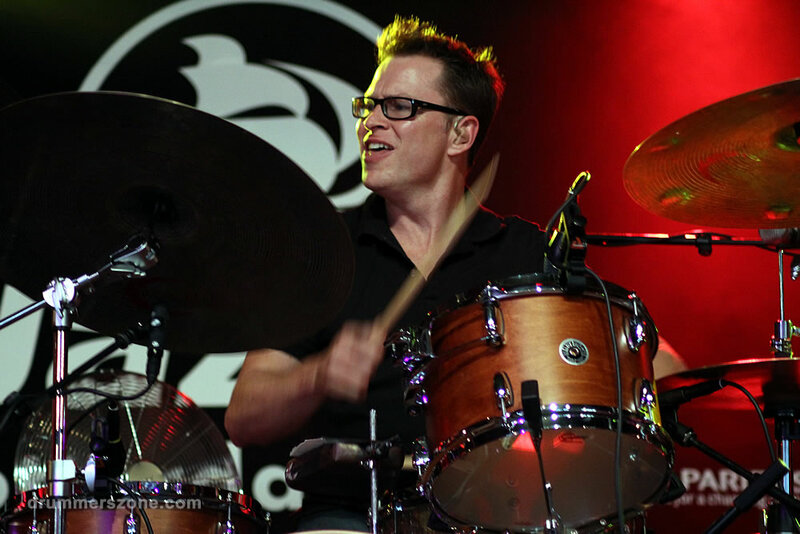 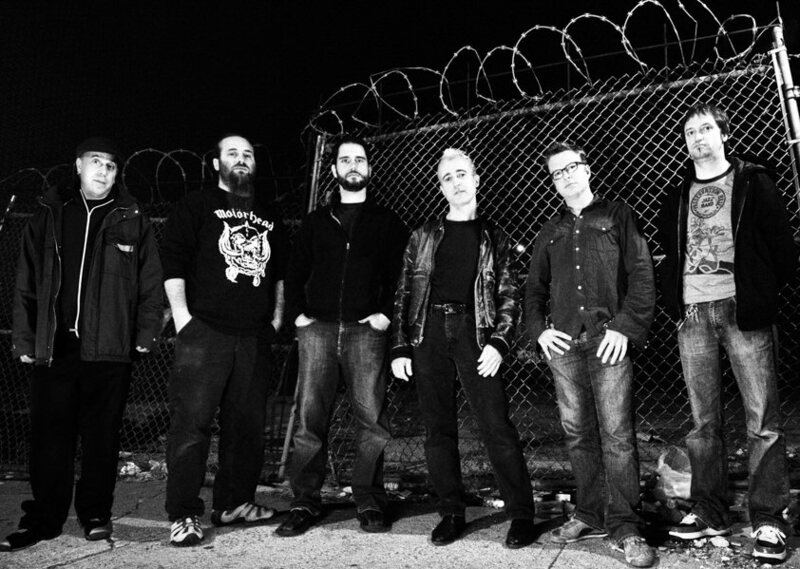 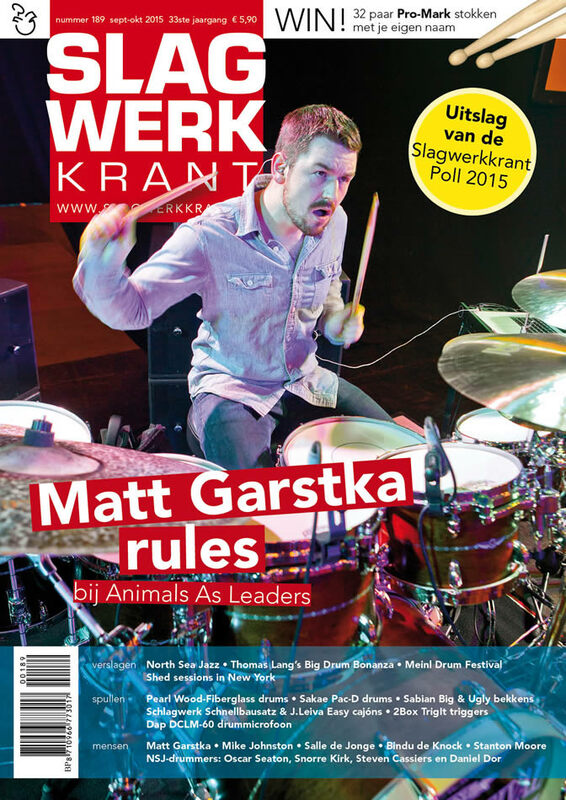 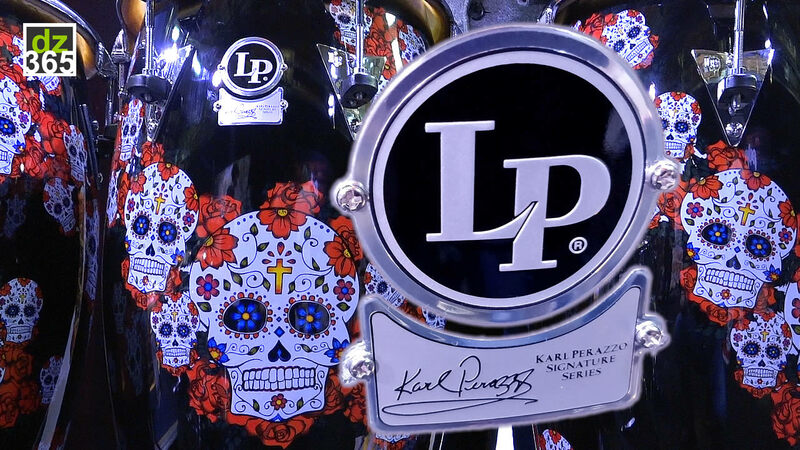 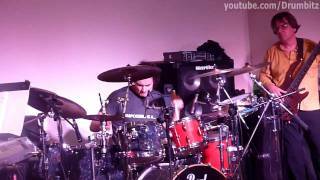 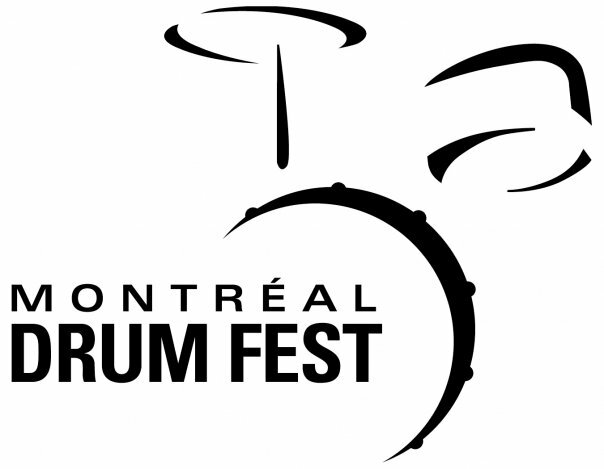 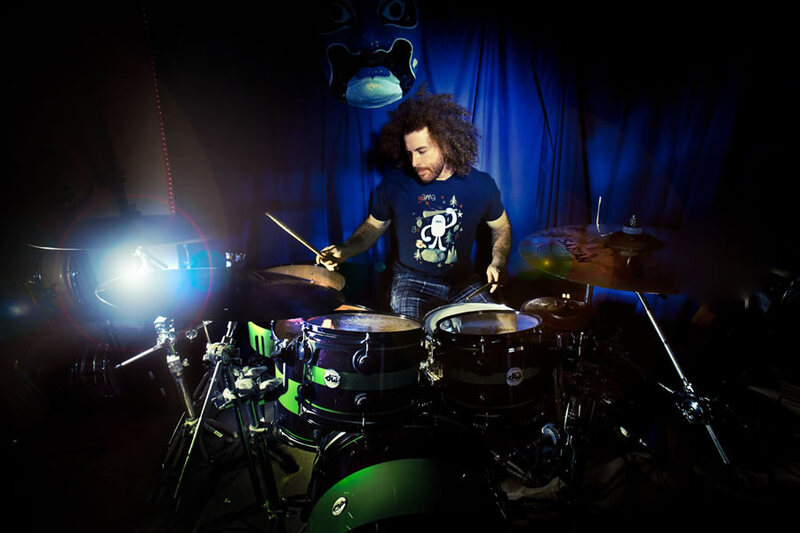 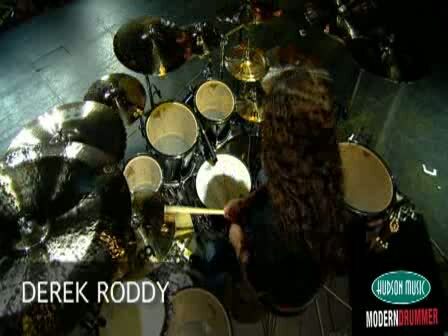 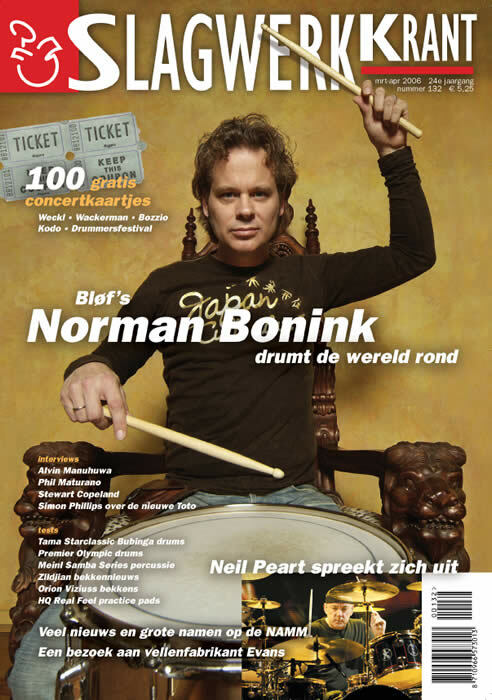 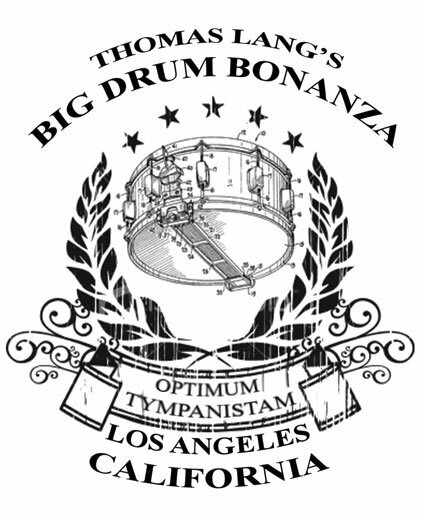 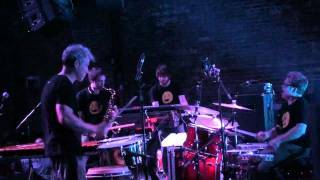 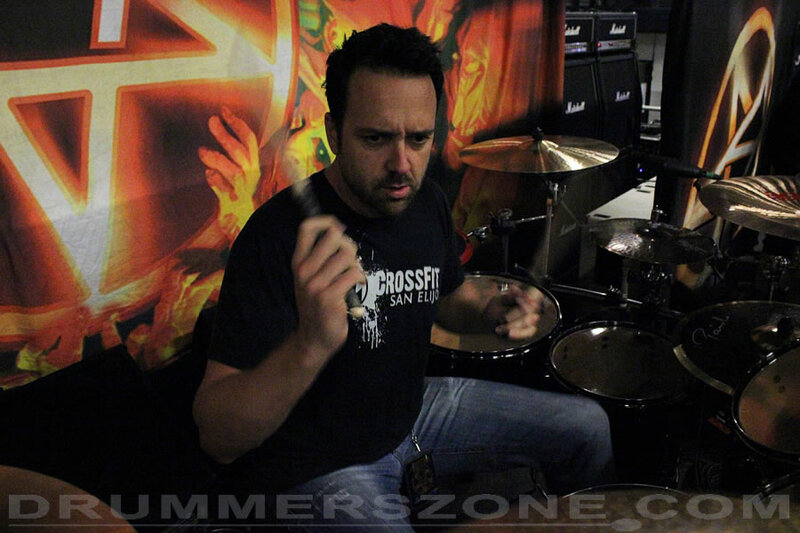 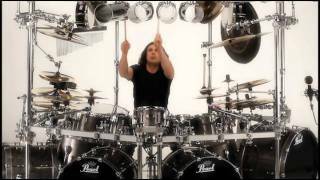 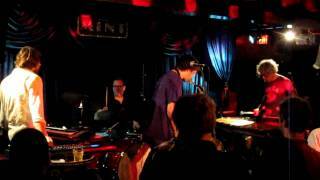 He's an accomplished jazz drummer playing manic heavy music � I've never heard anything like it."